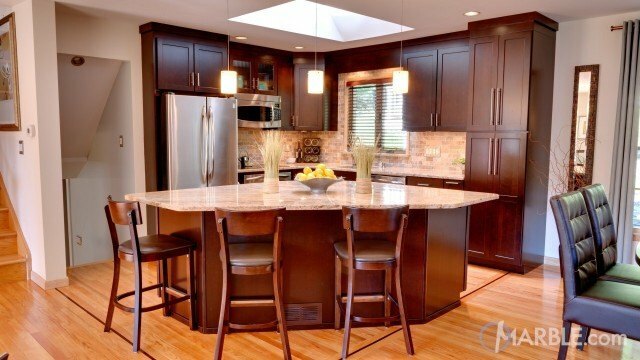 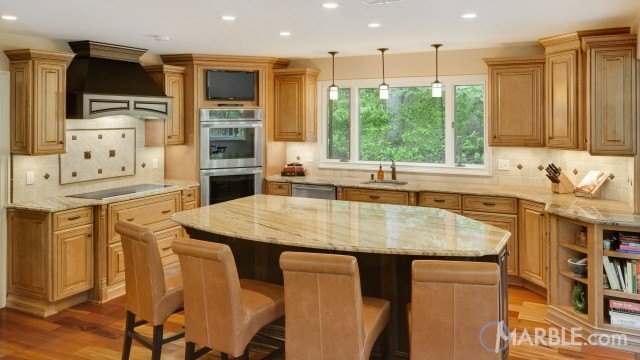 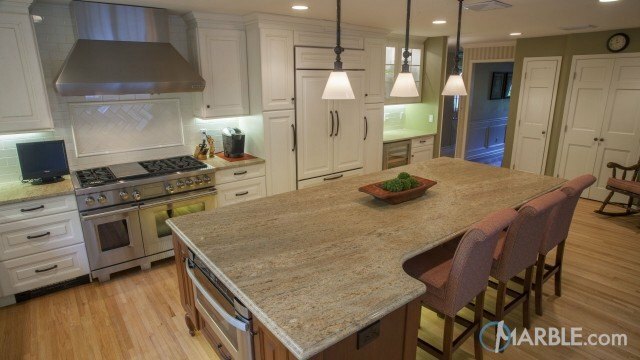 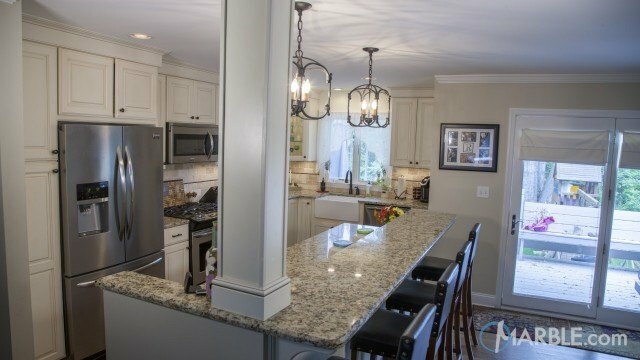 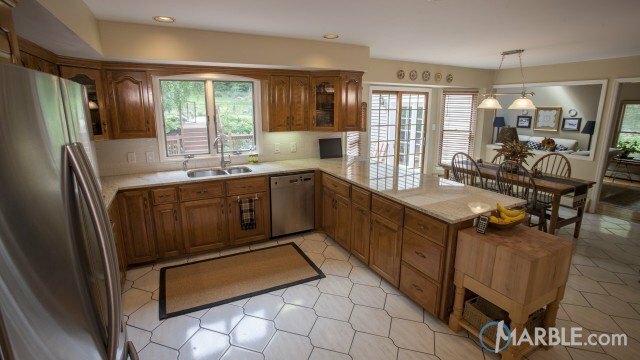 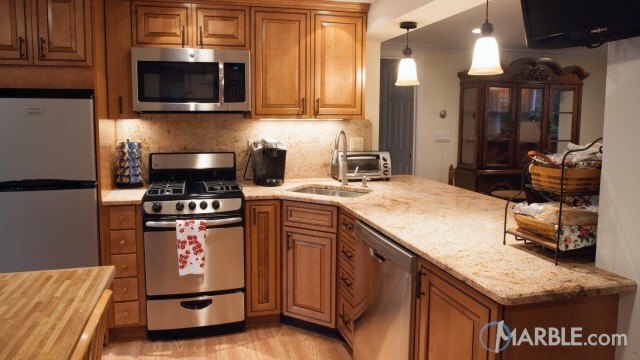 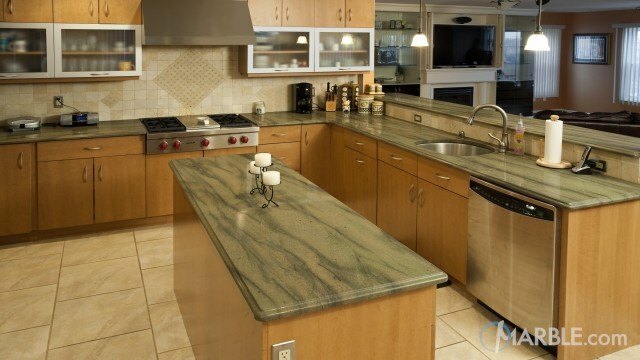 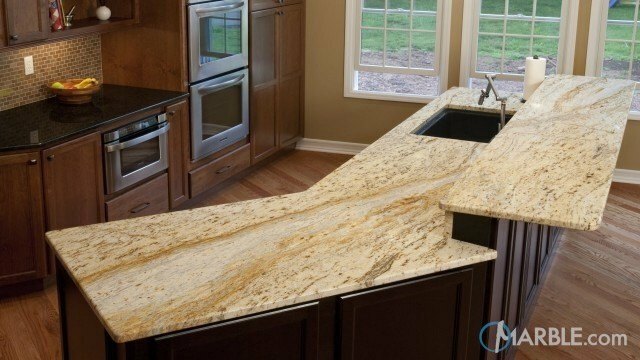 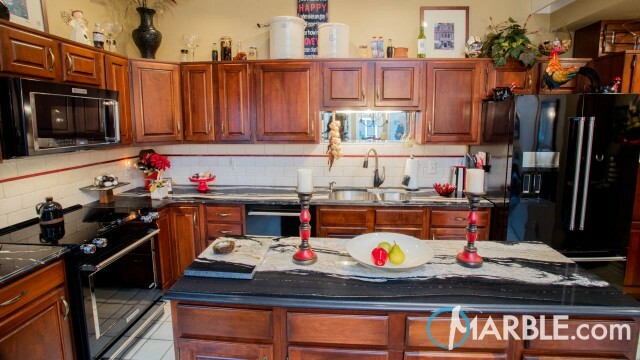 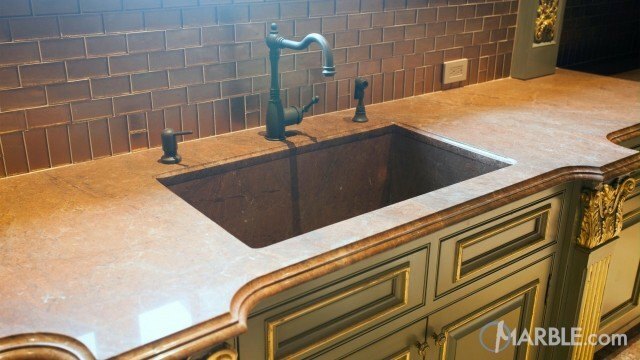 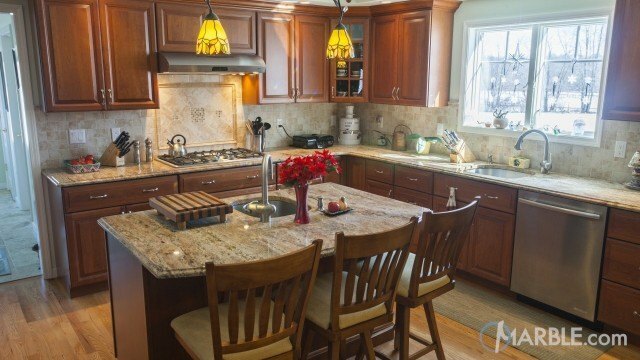 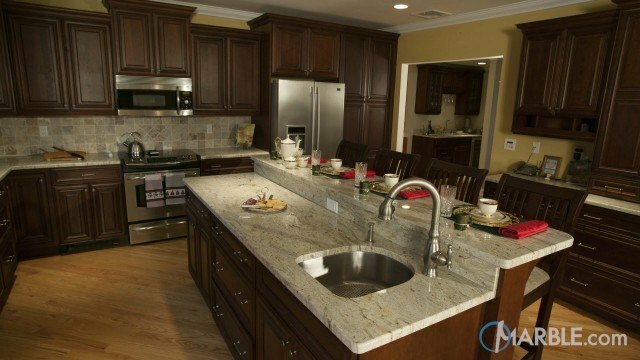 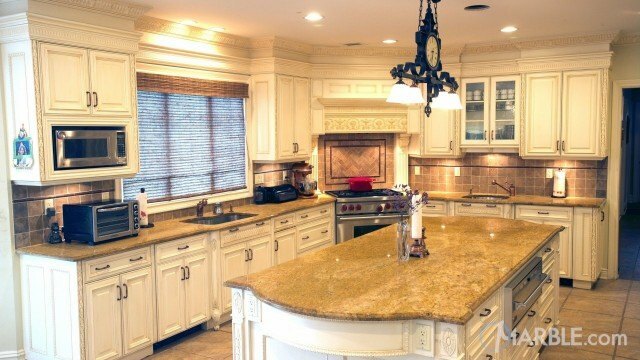 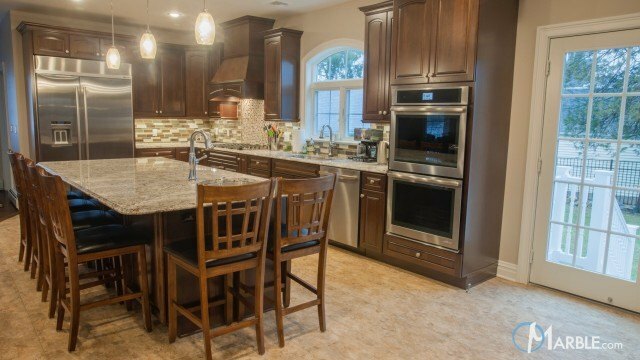 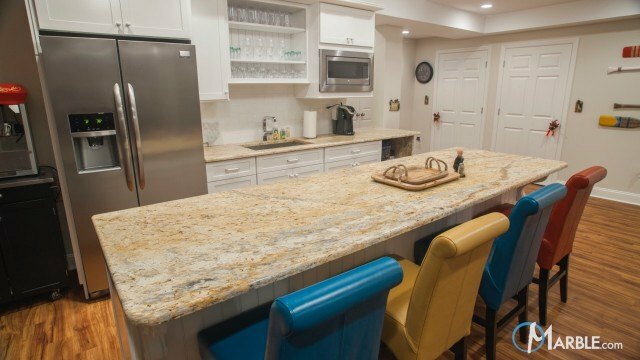 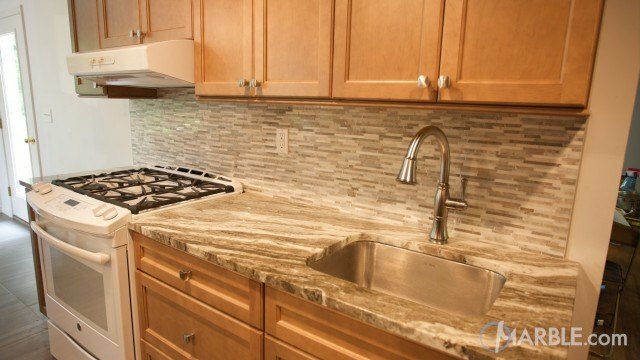 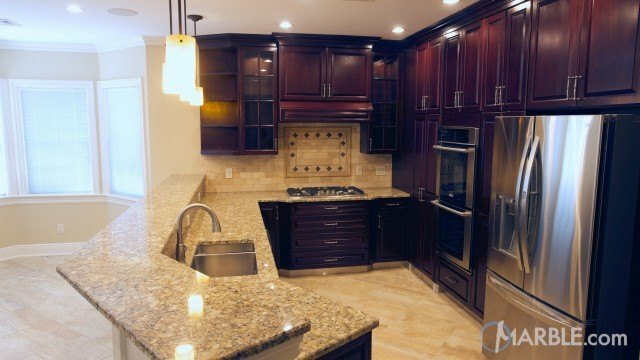 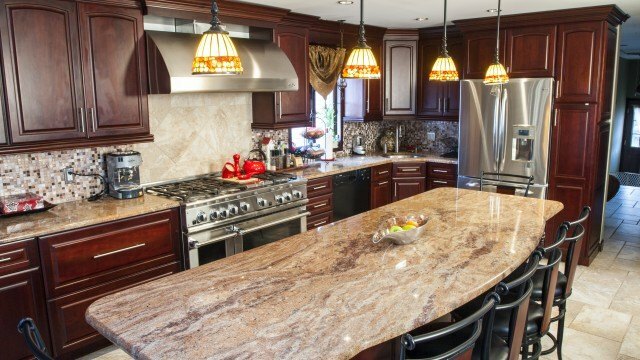 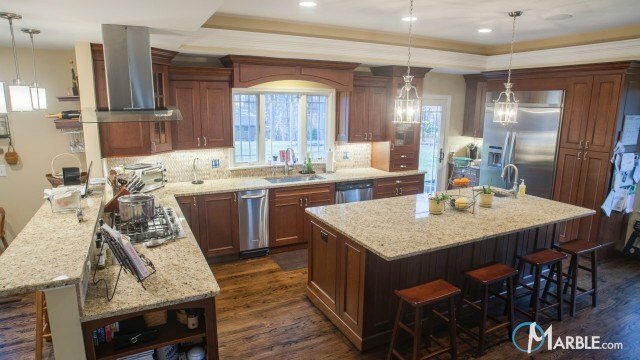 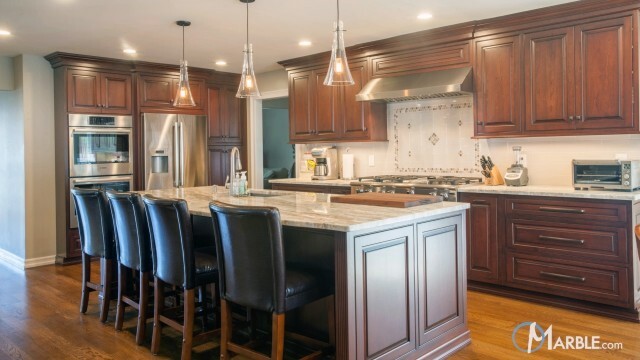 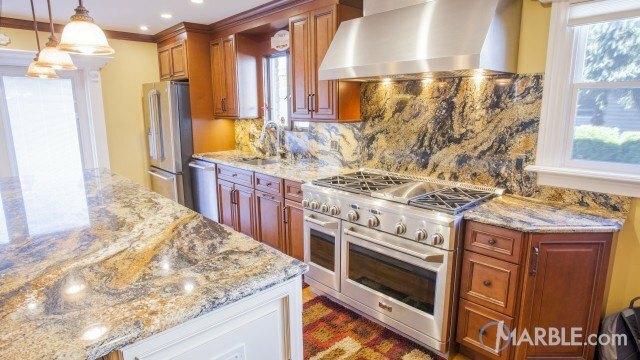 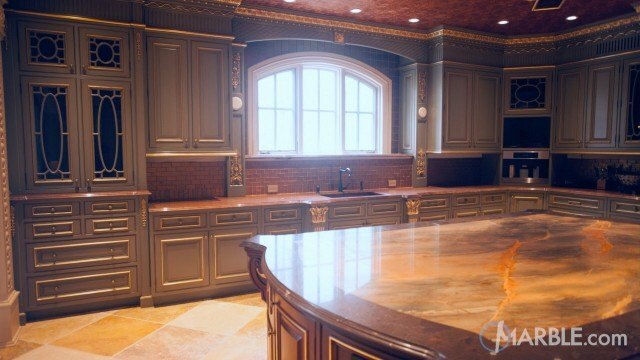 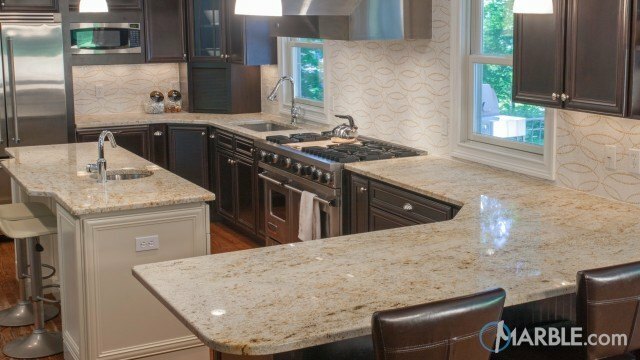 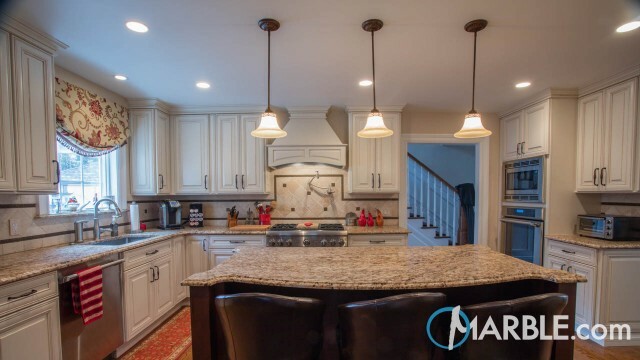 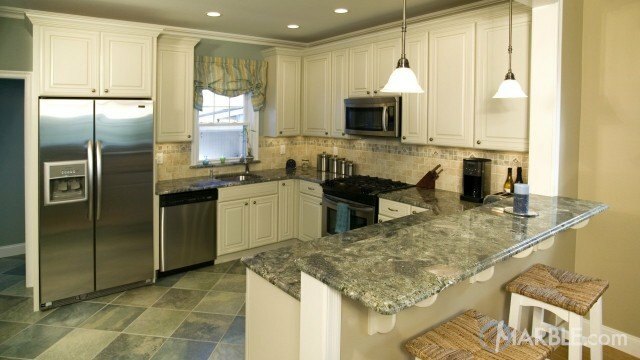 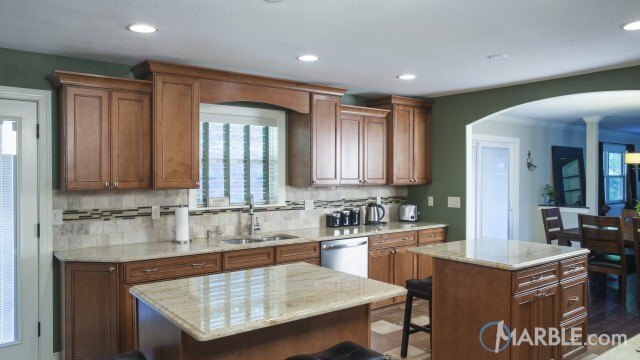 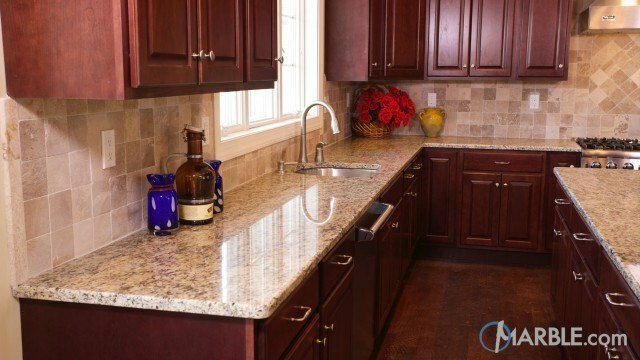 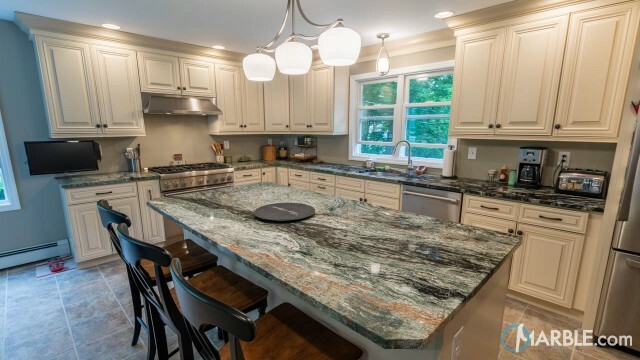 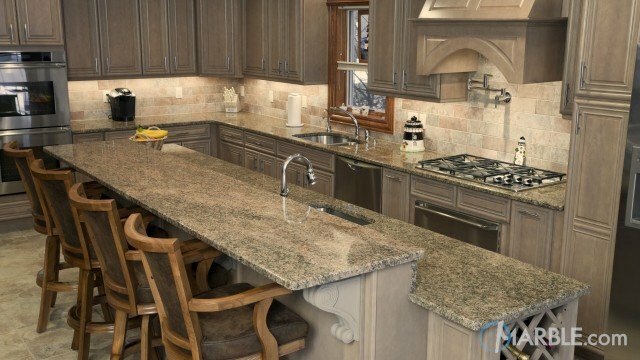 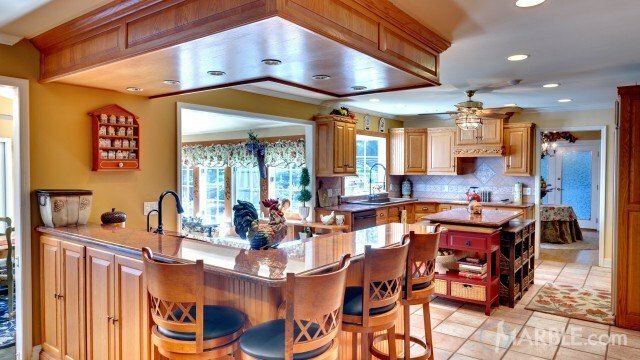 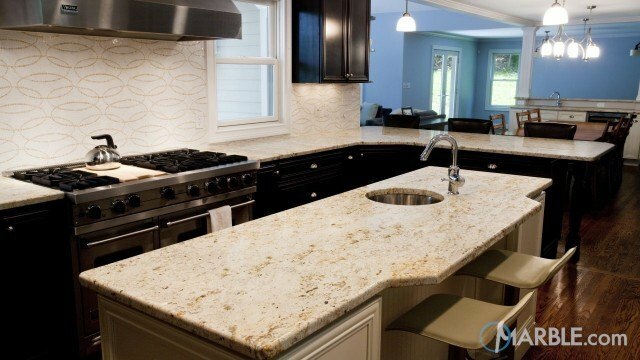 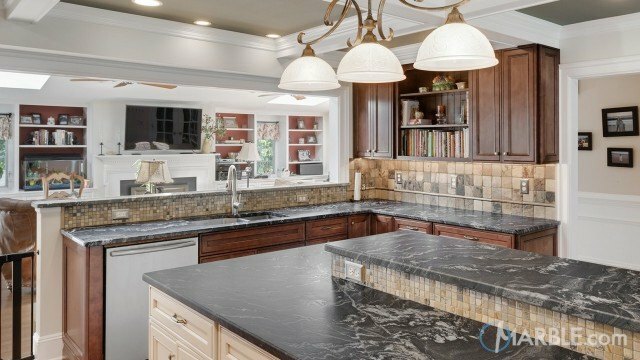 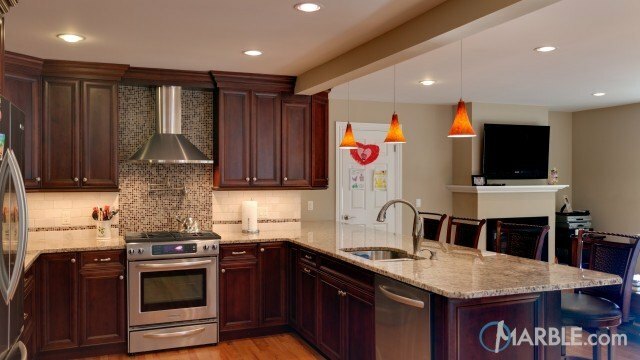 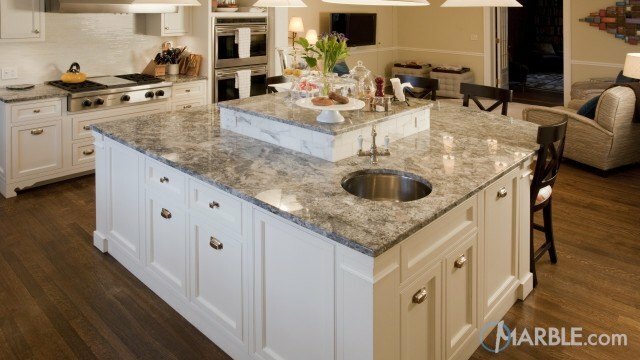 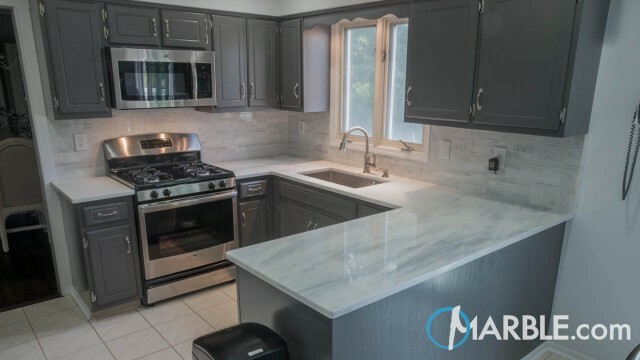 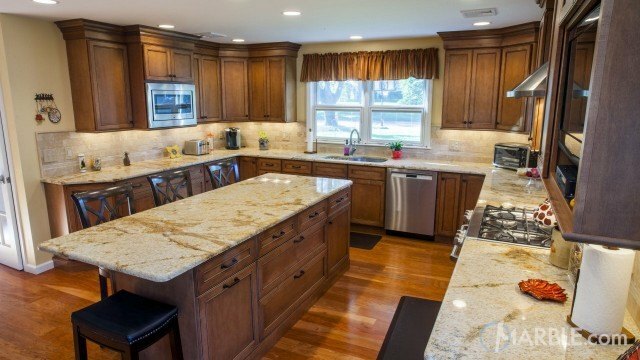 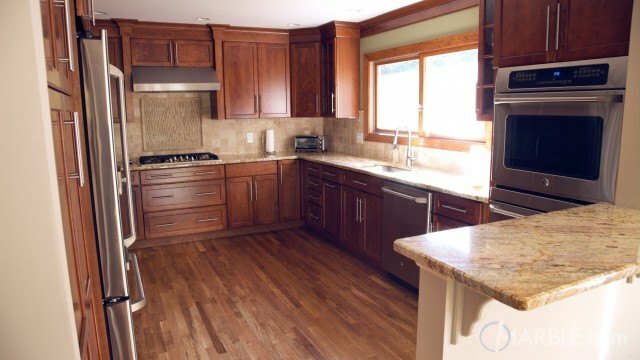 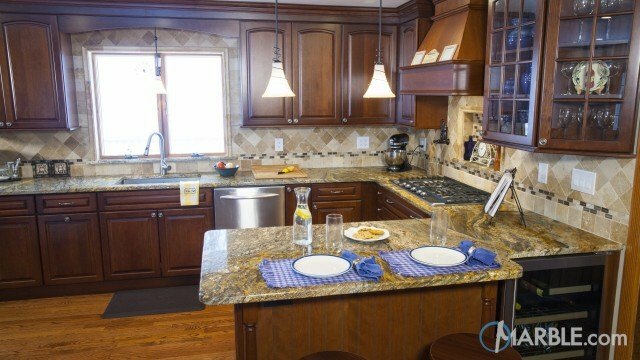 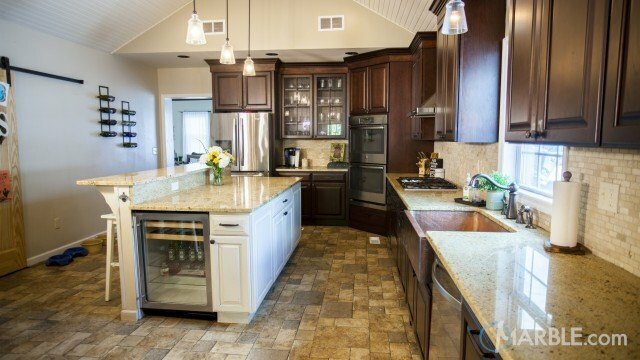 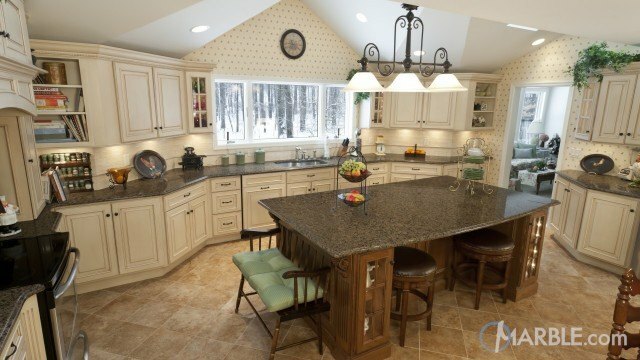 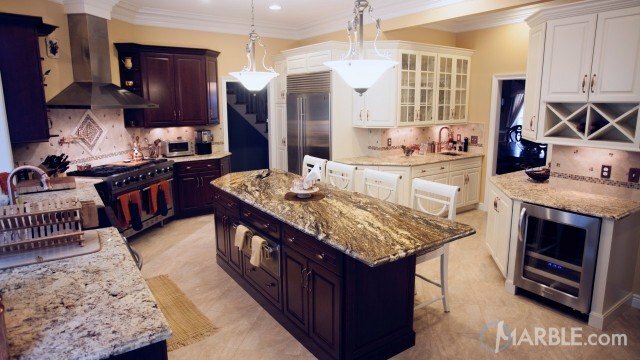 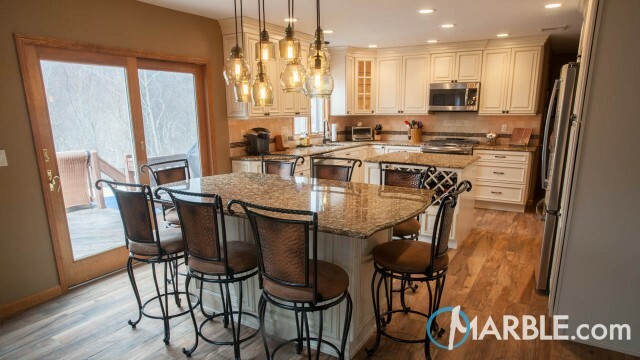 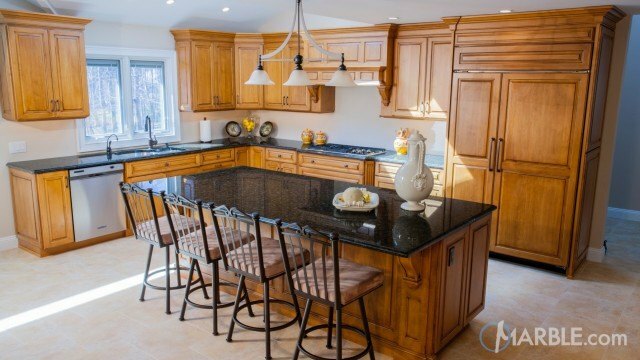 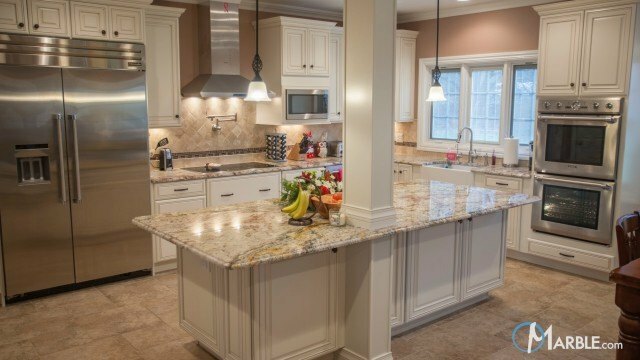 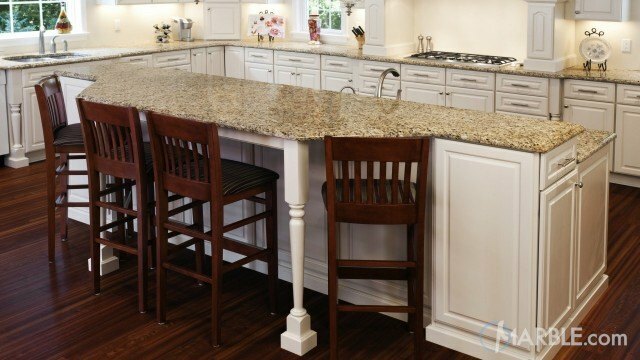 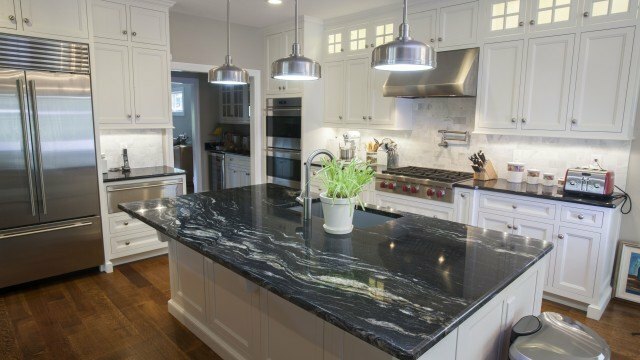 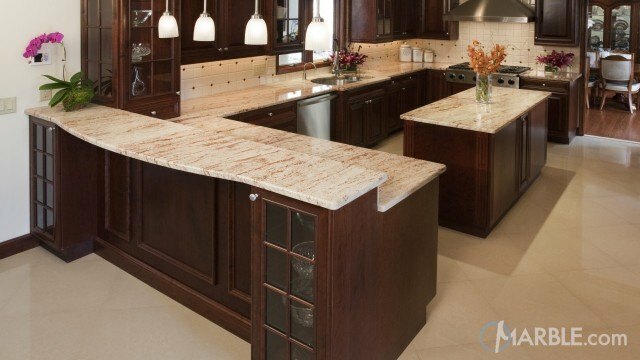 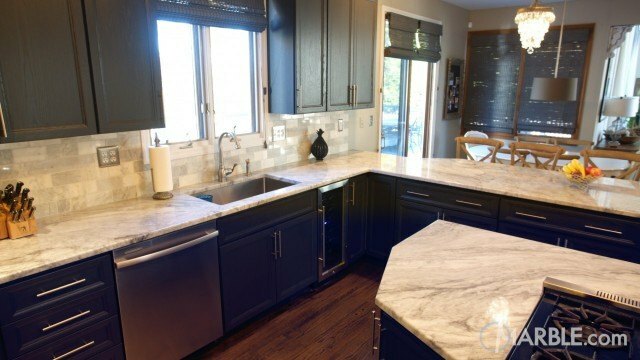 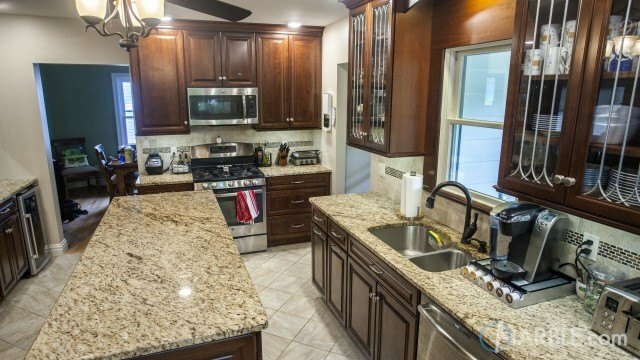 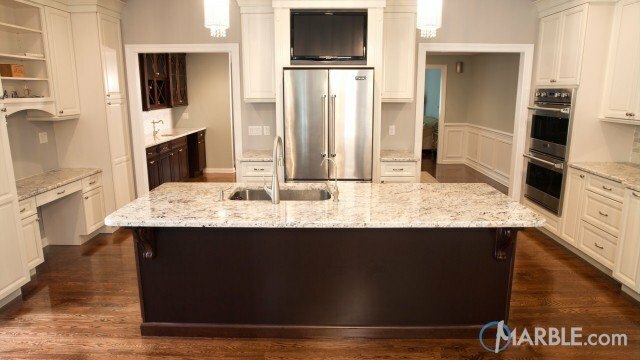 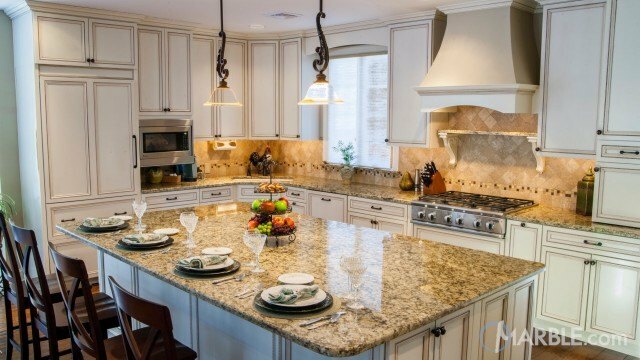 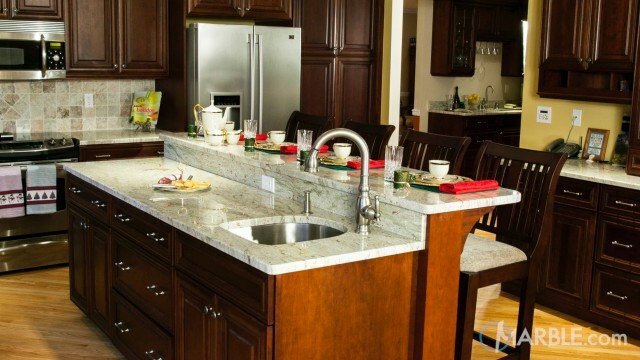 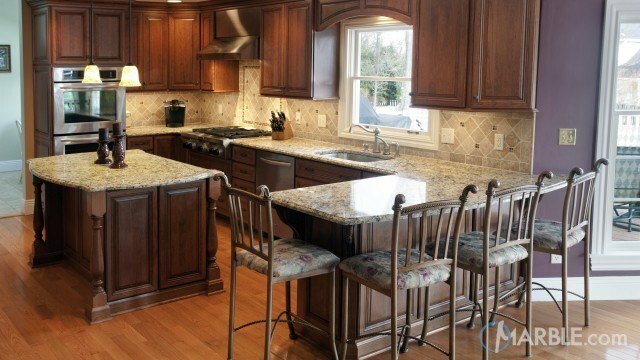 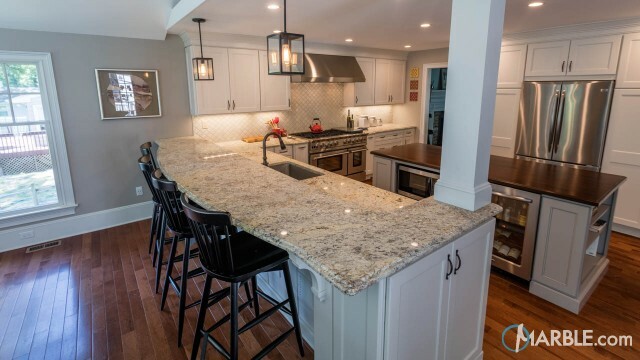 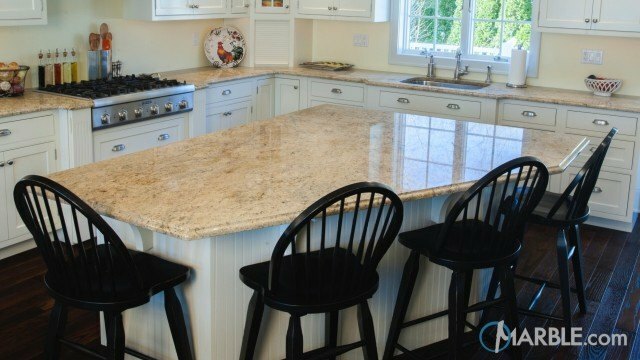 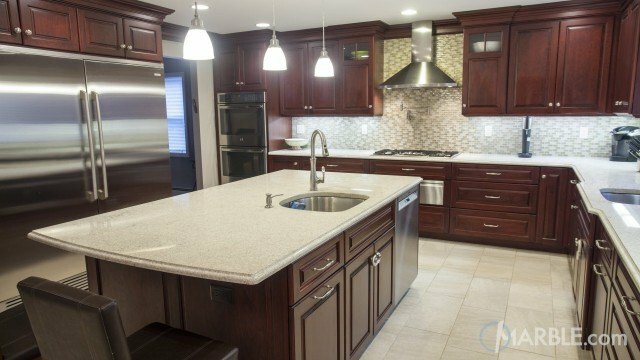 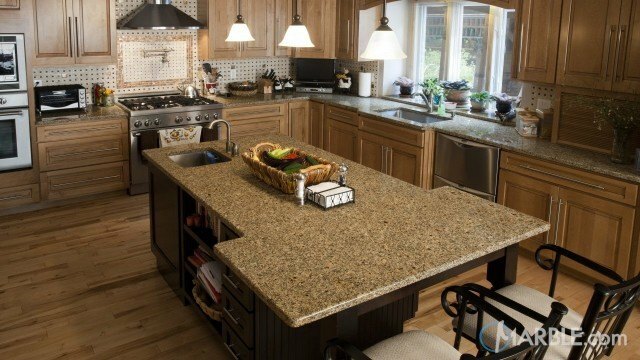 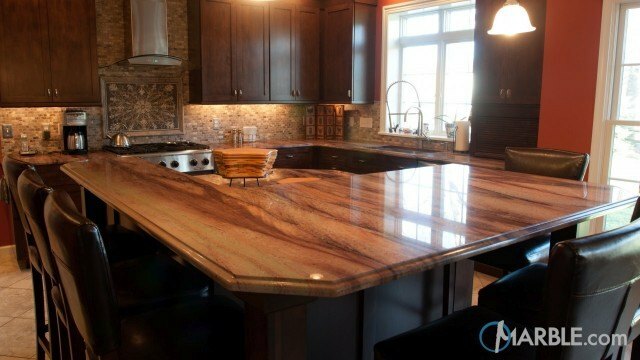 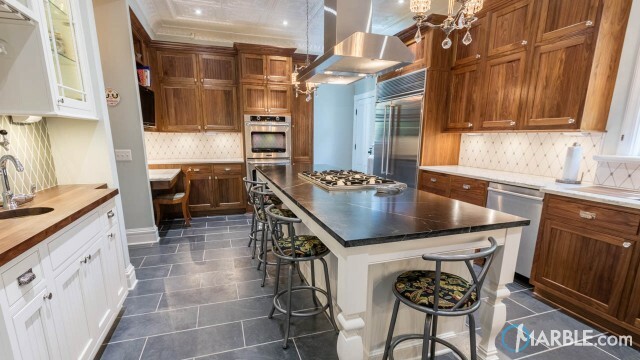 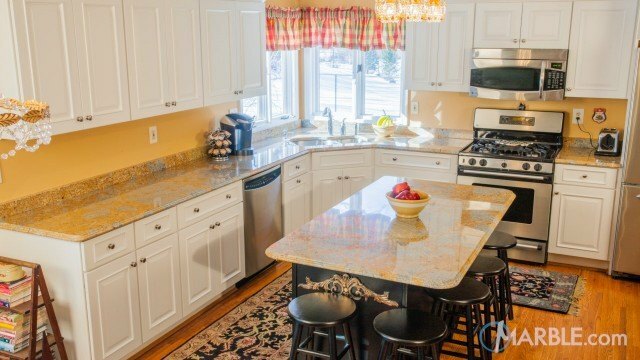 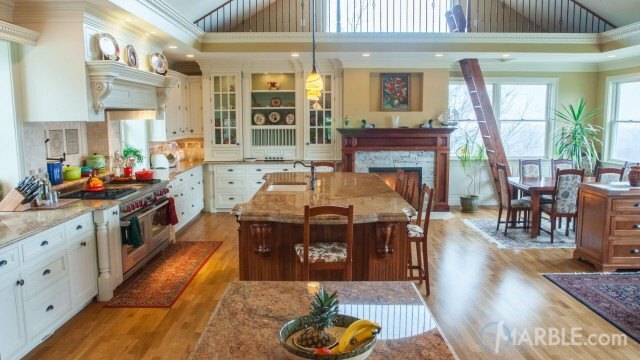 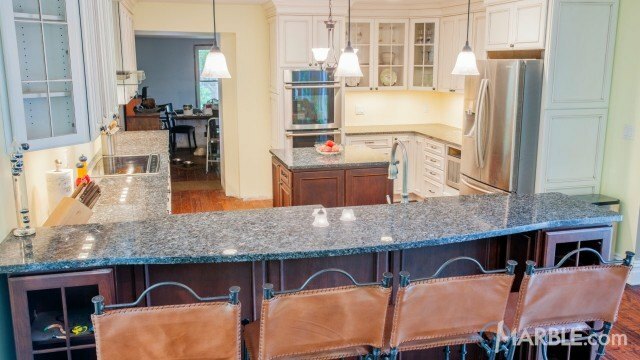 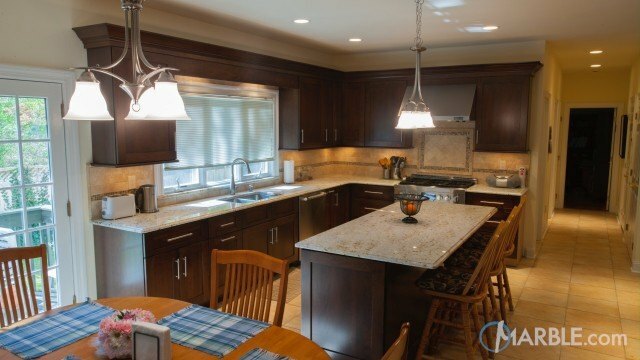 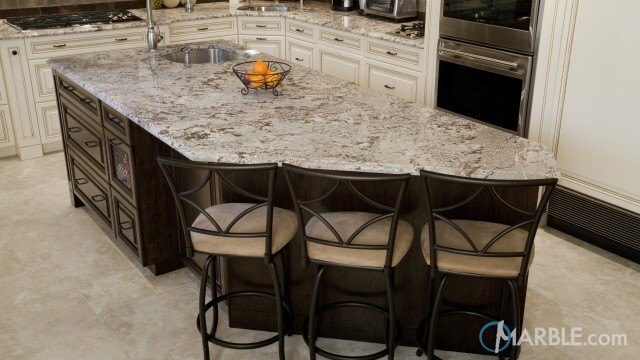 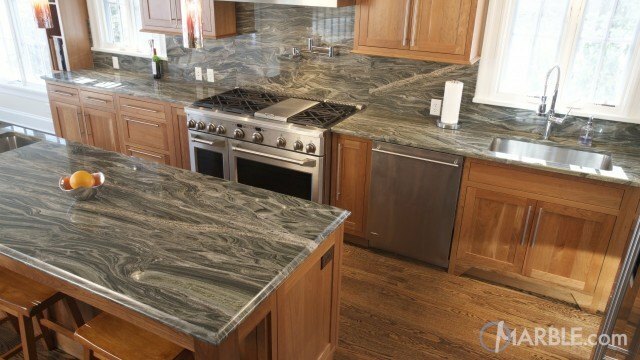 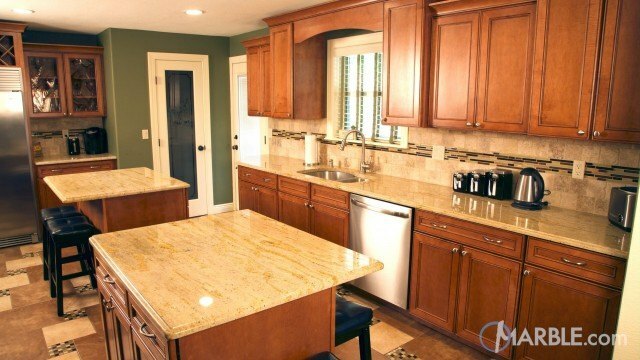 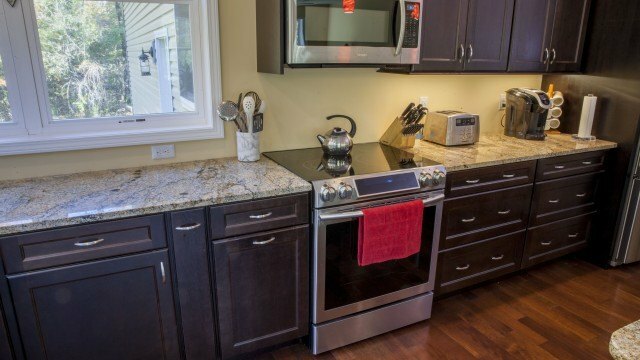 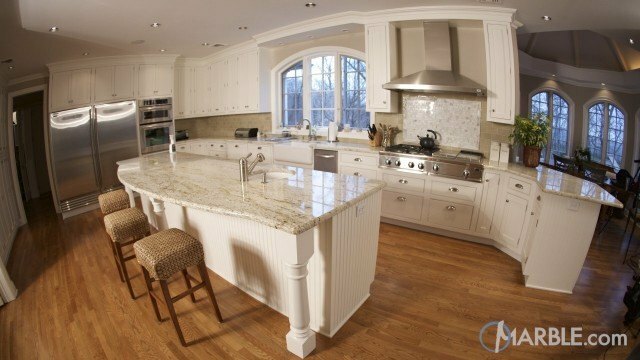 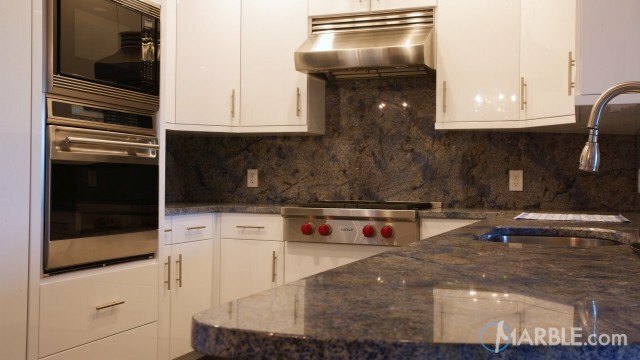 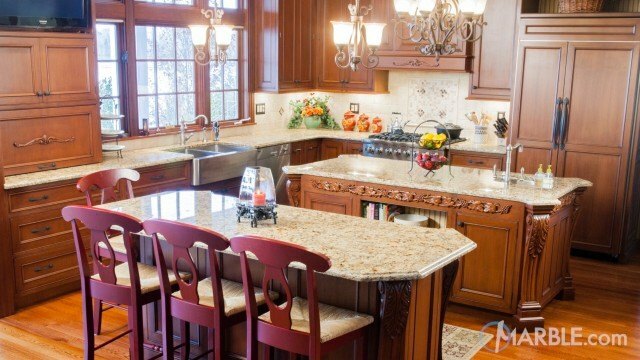 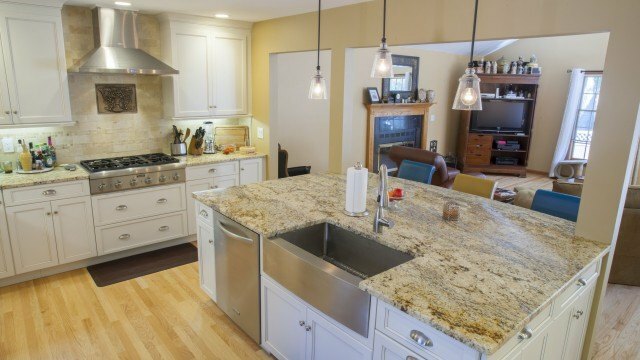 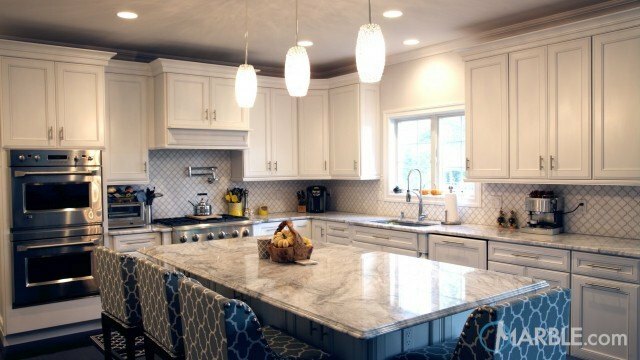 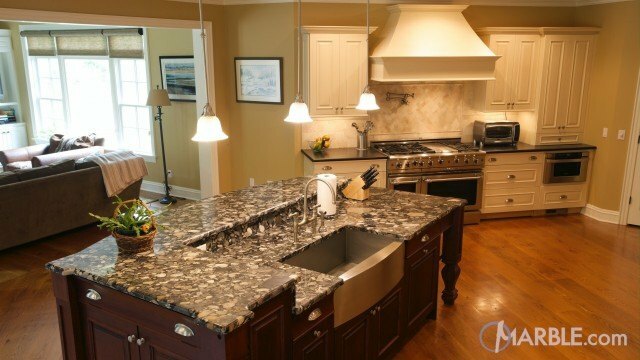 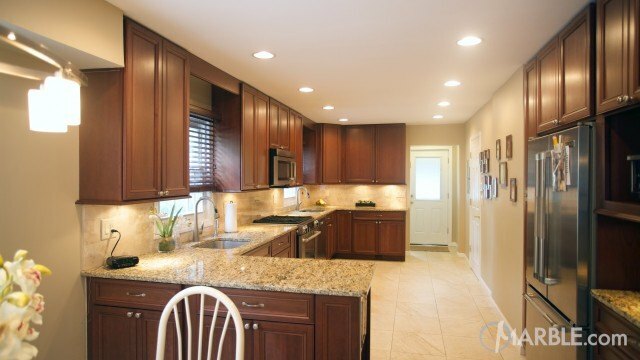 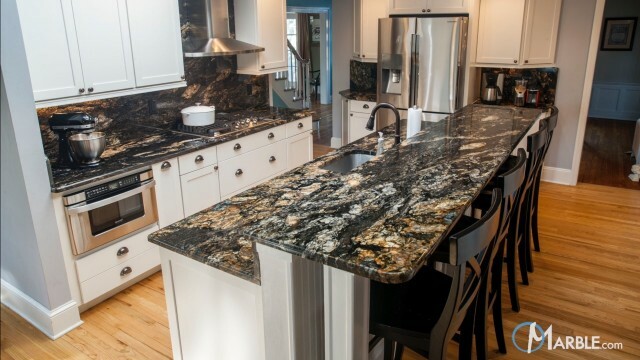 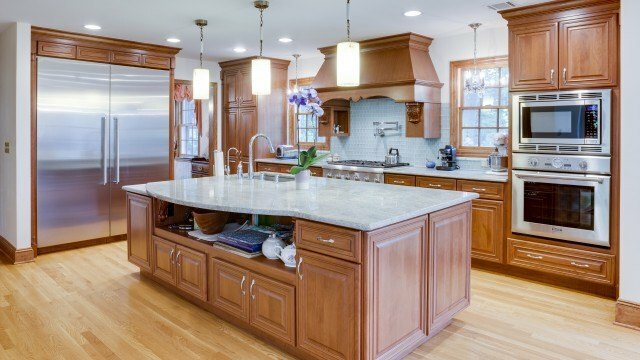 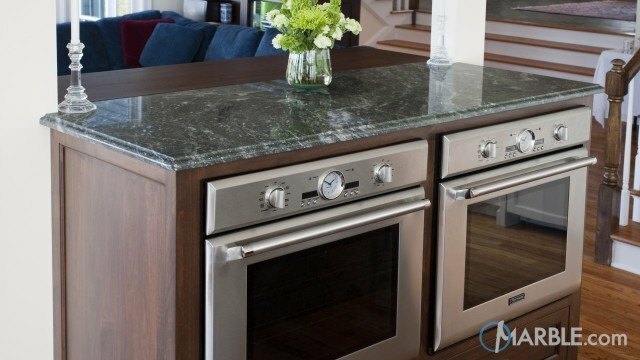 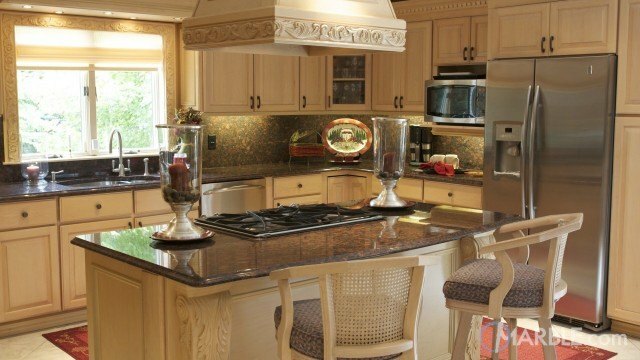 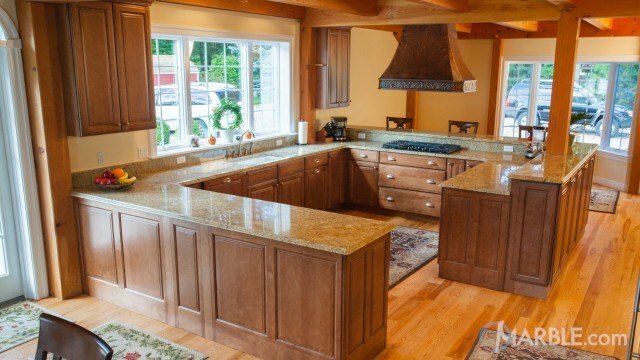 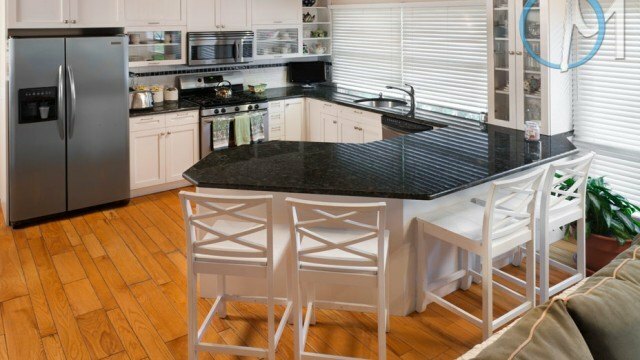 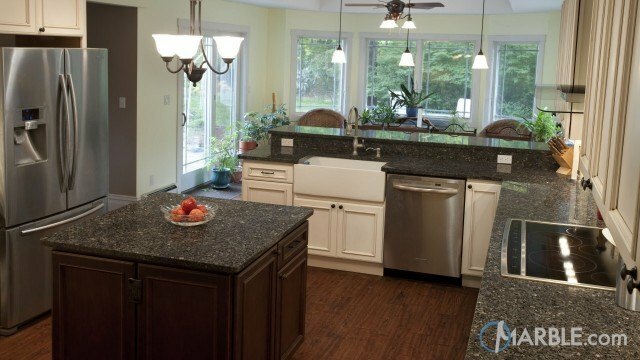 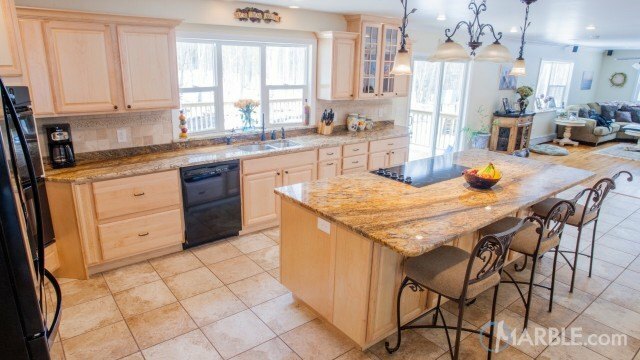 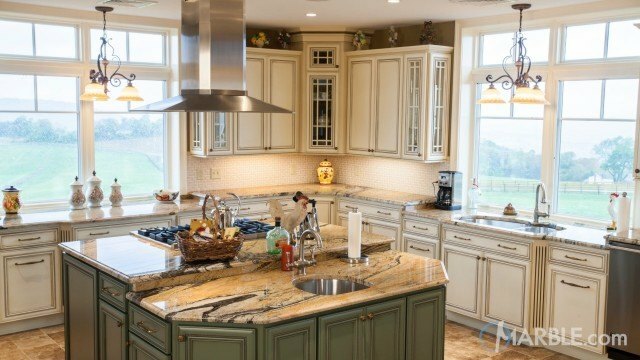 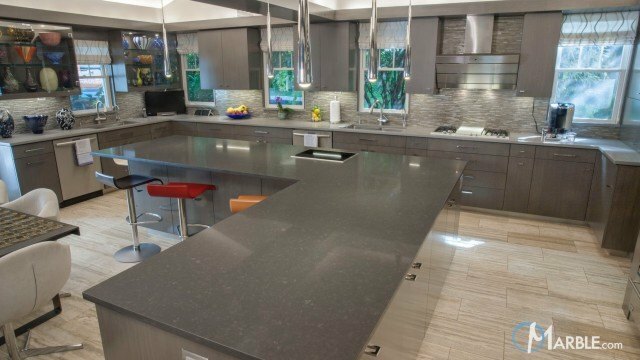 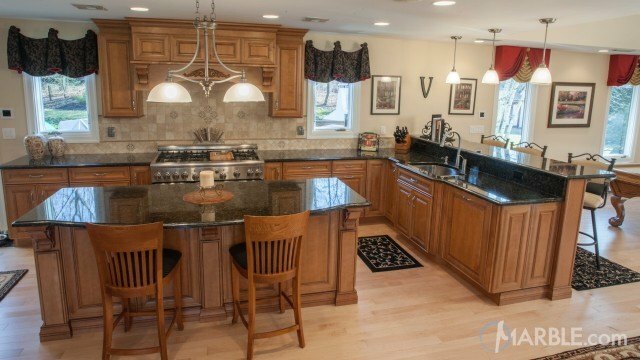 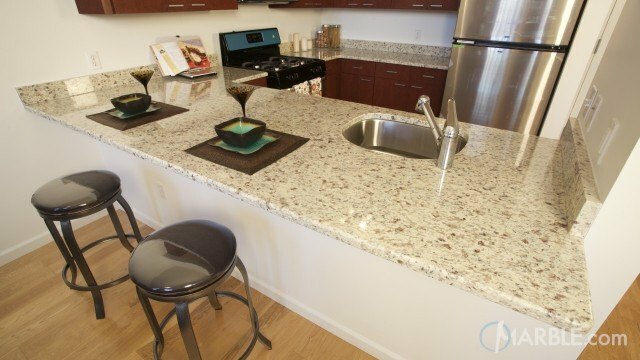 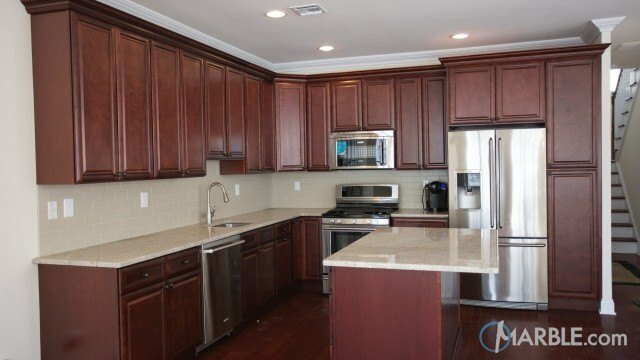 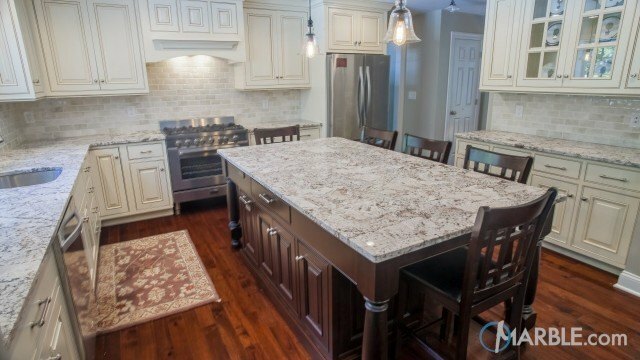 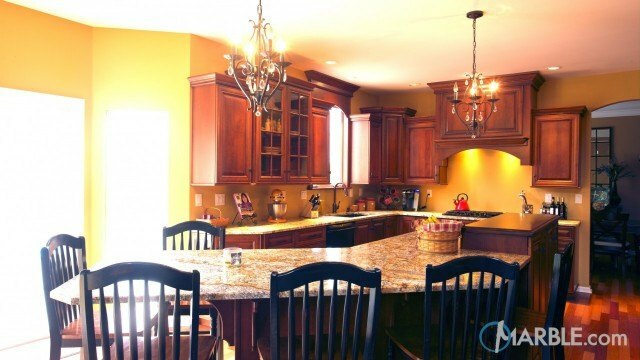 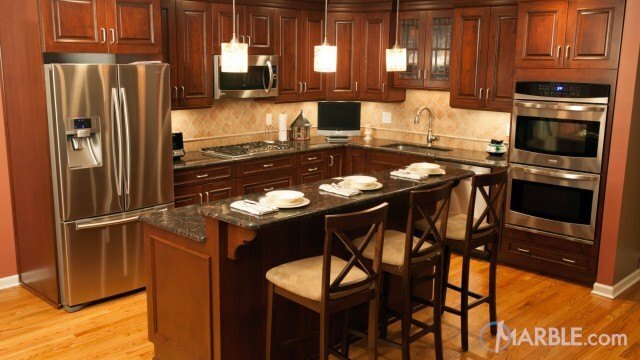 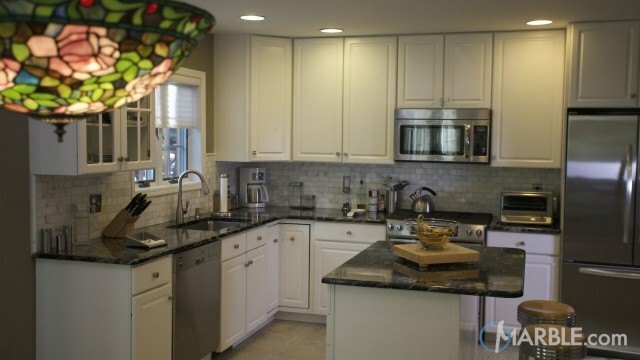 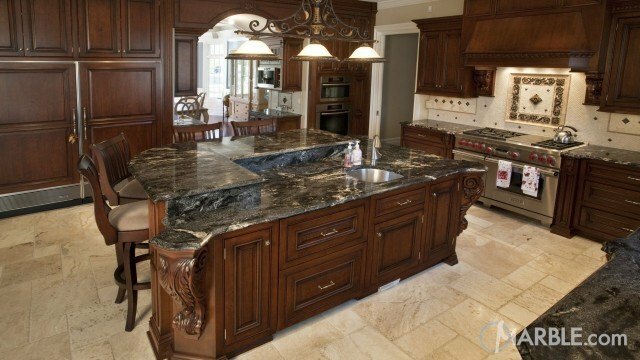 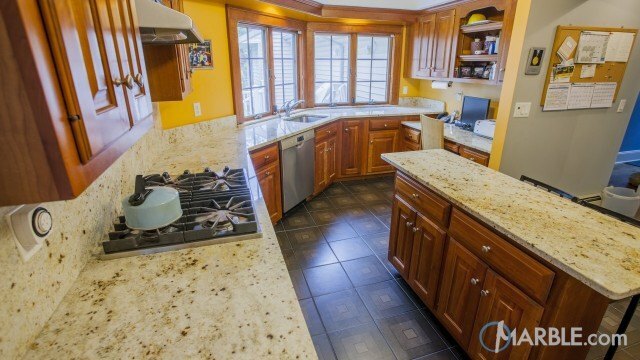 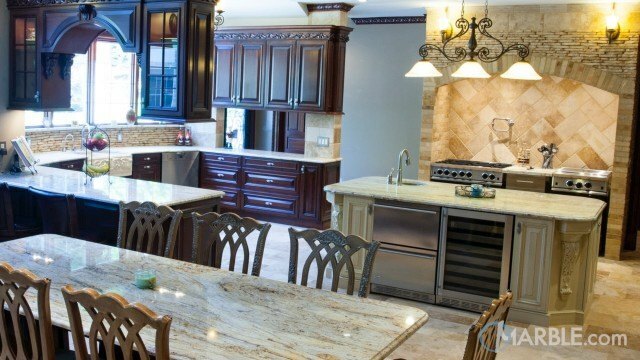 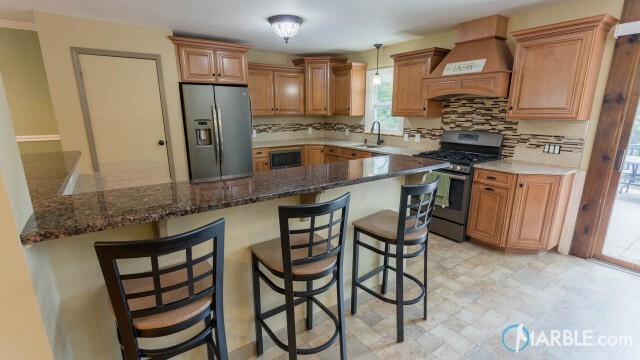 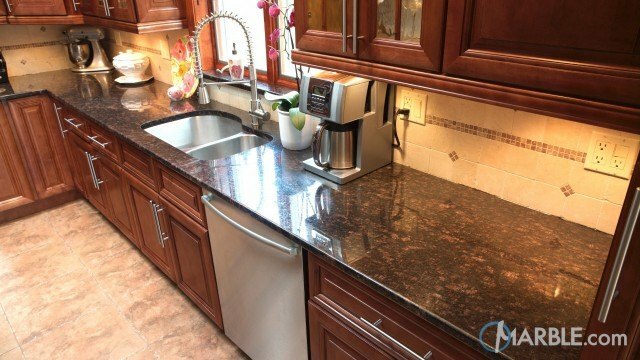 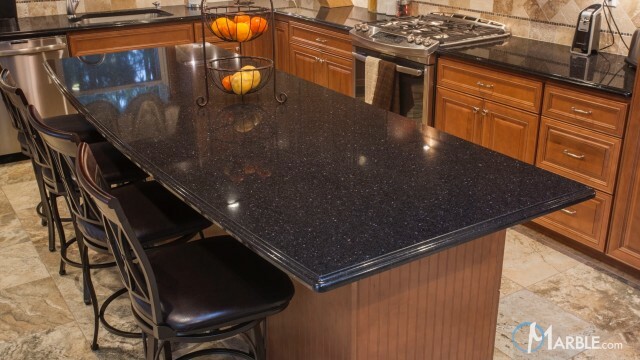 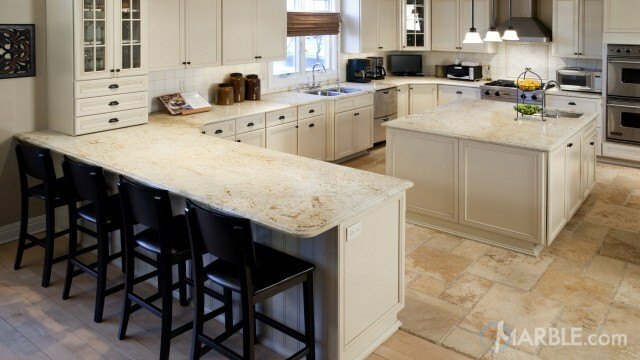 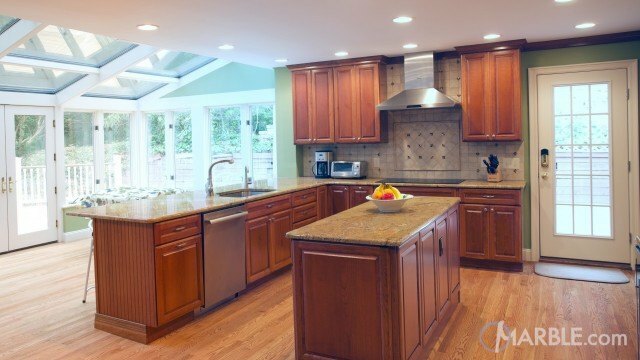 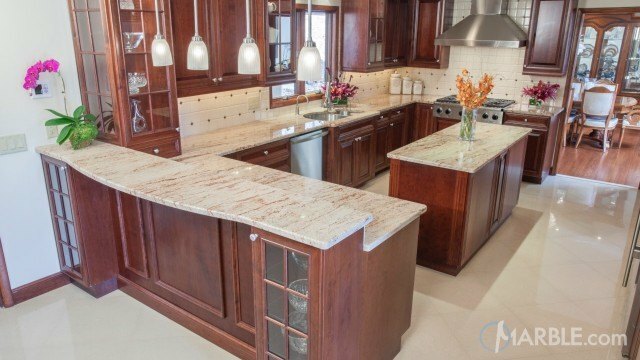 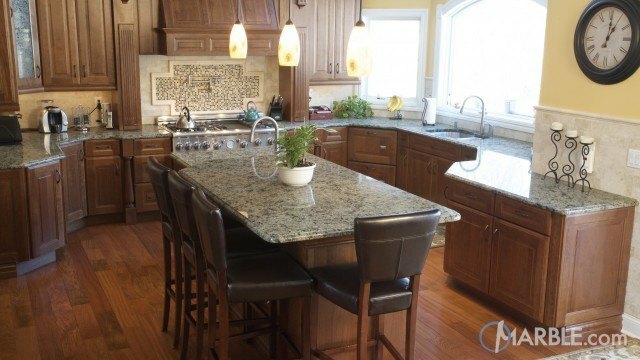 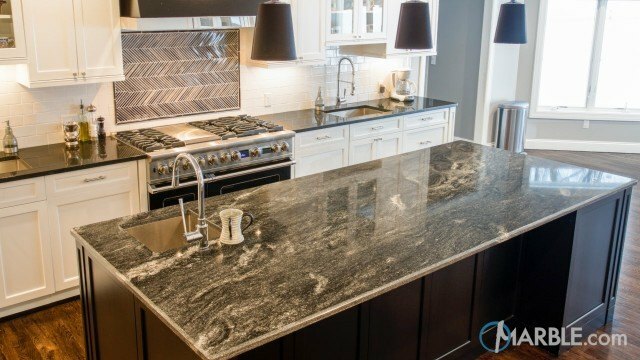 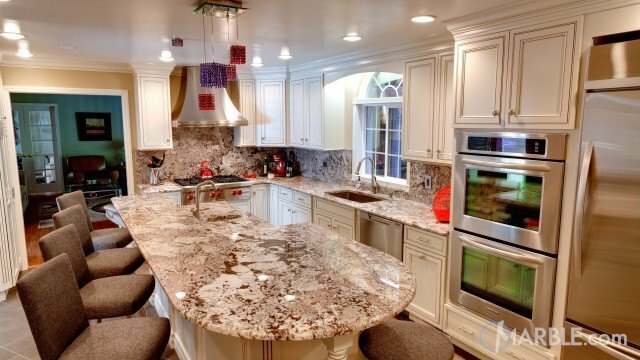 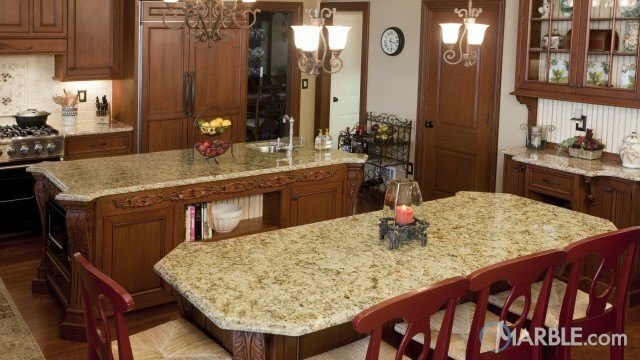 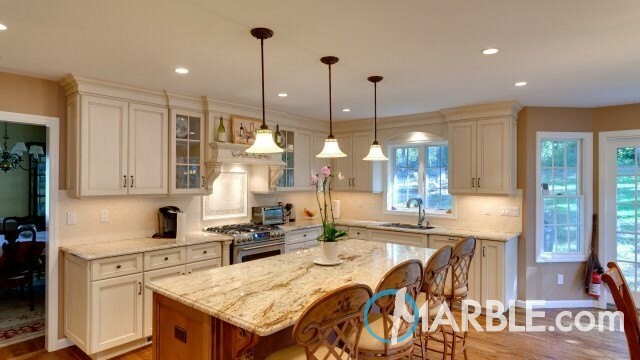 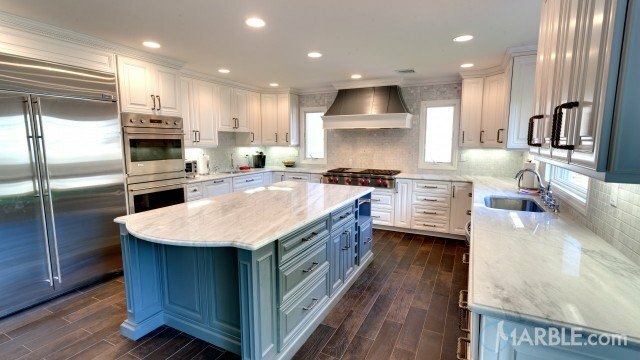 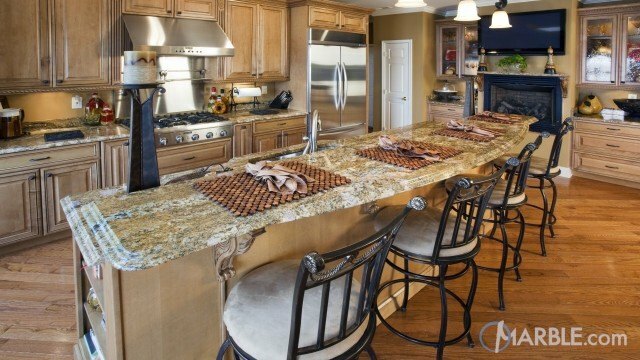 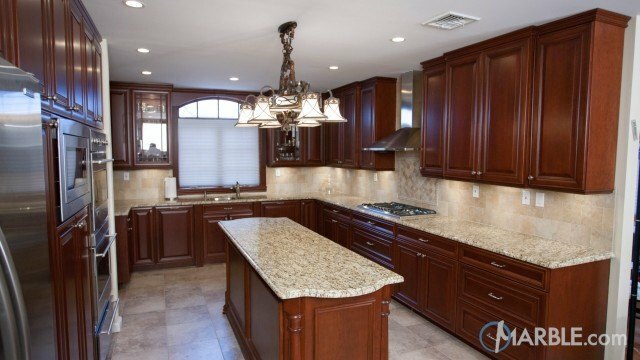 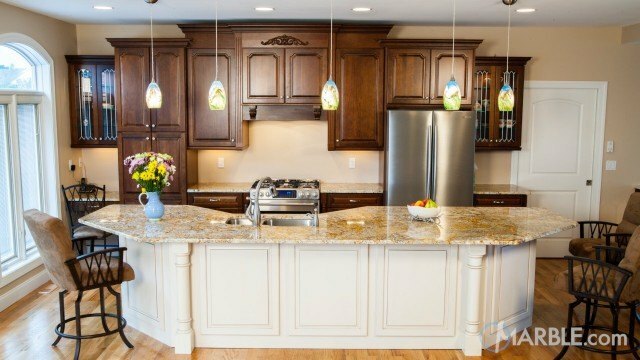 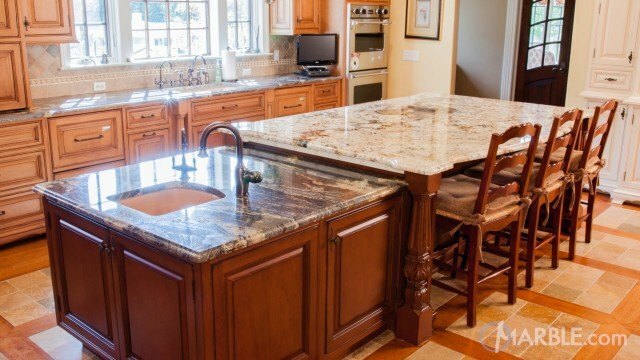 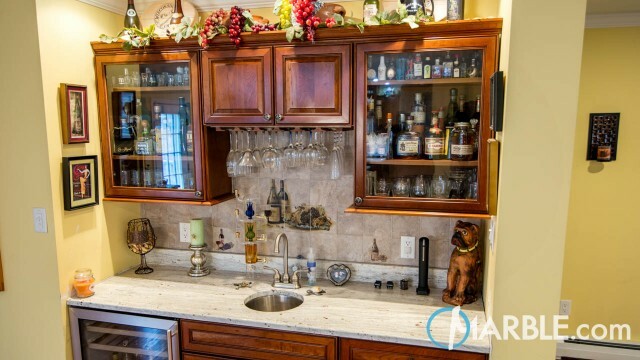 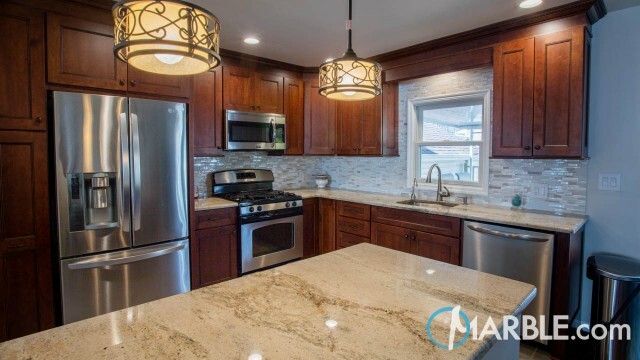 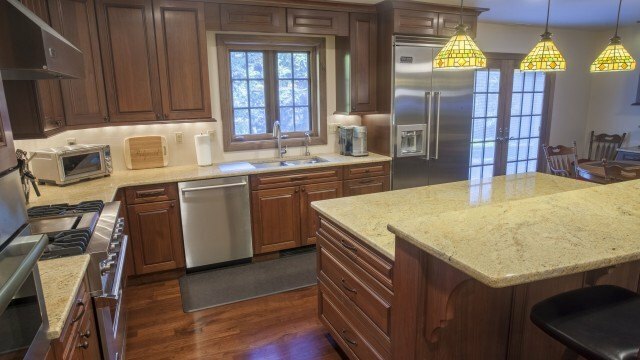 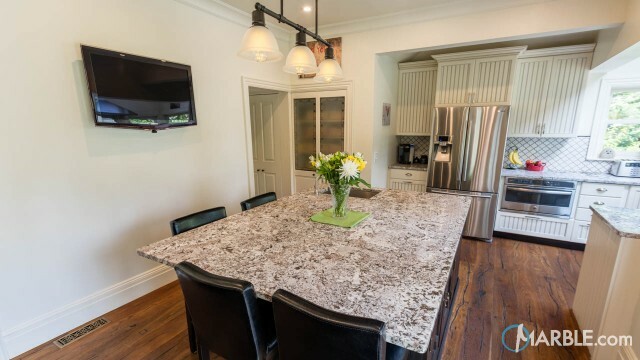 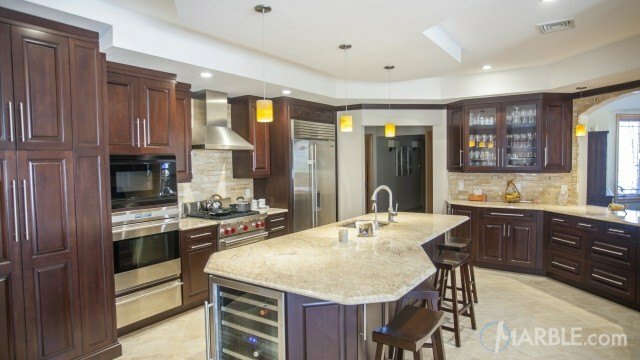 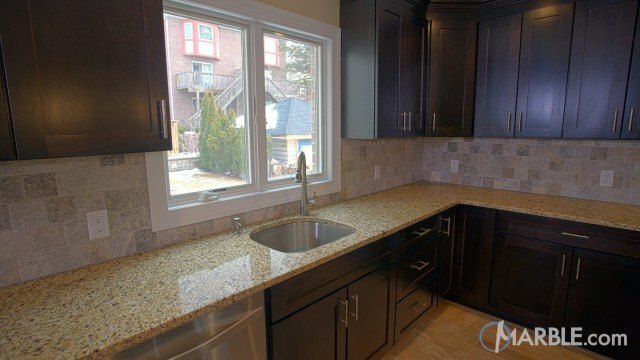 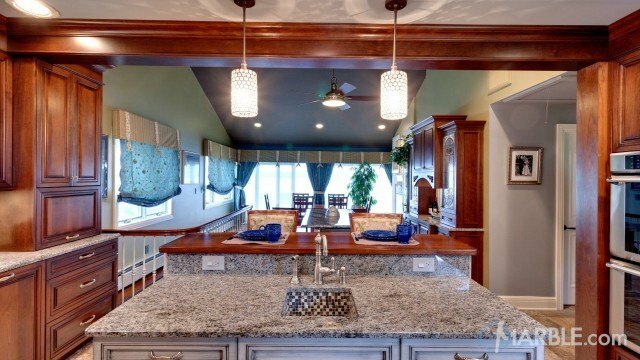 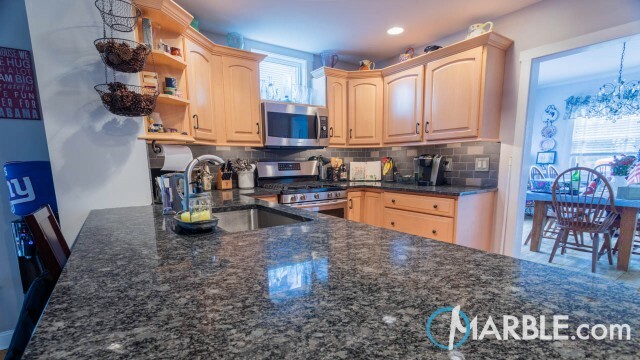 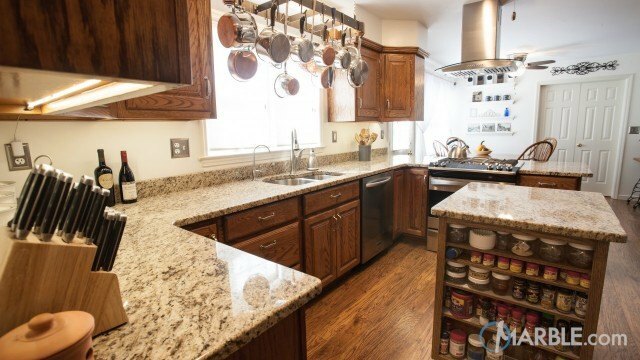 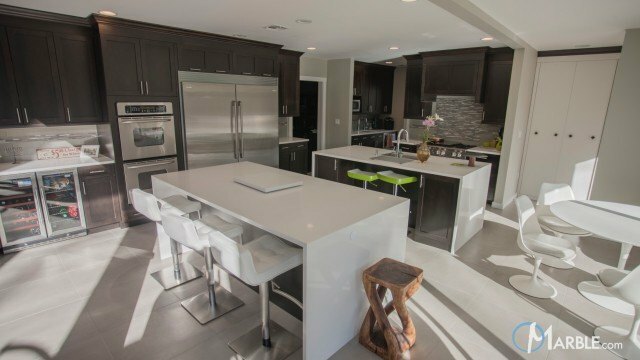 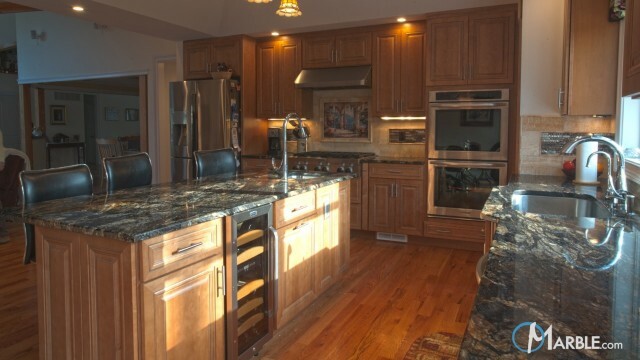 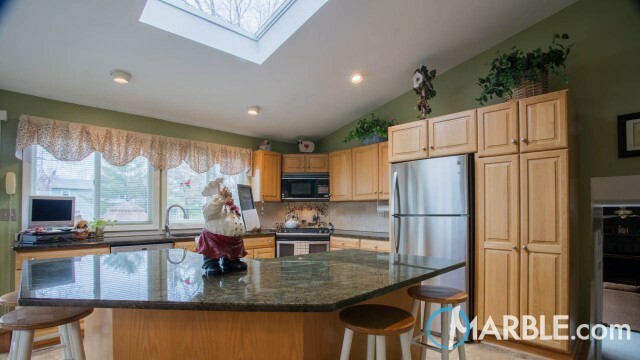 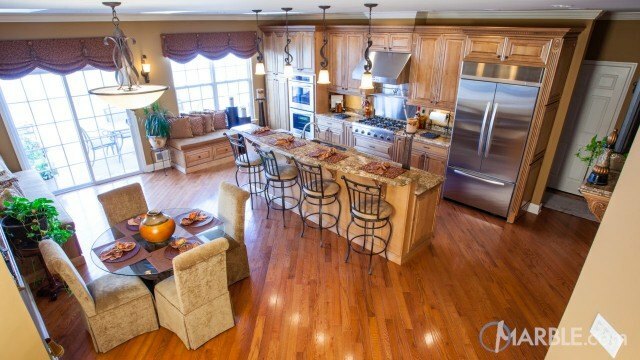 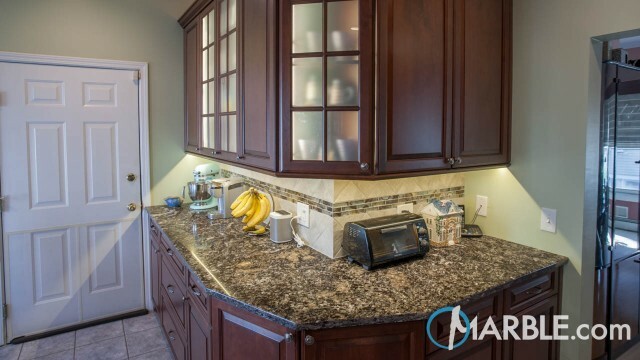 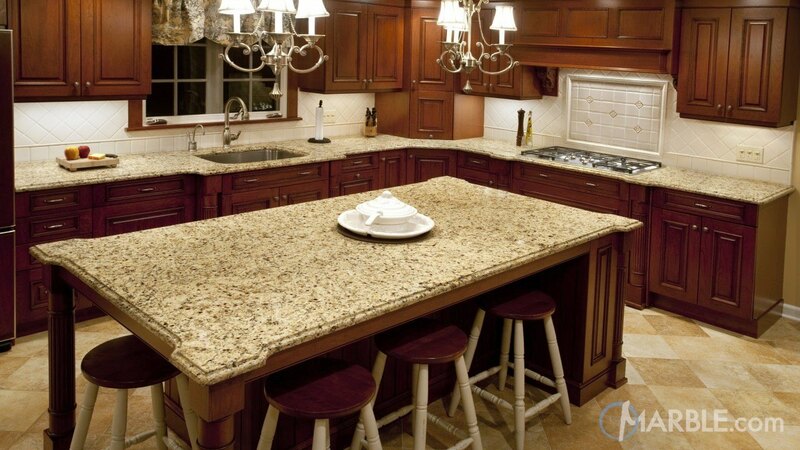 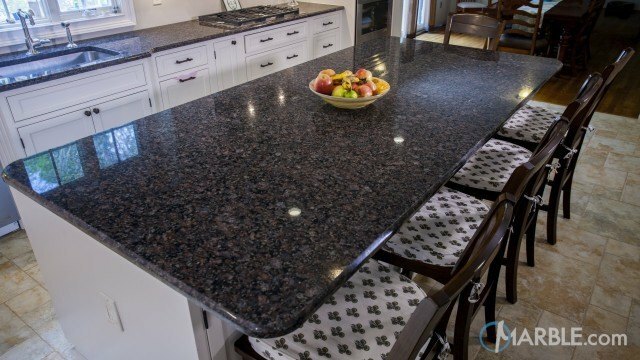 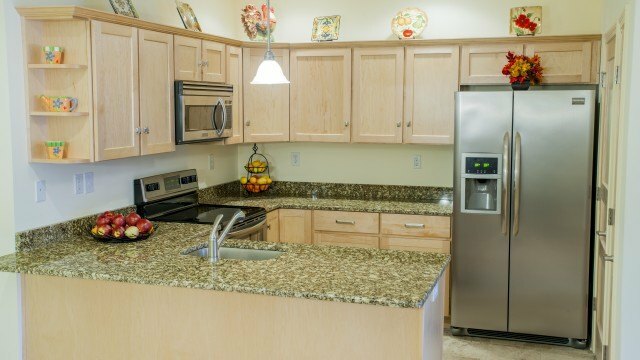 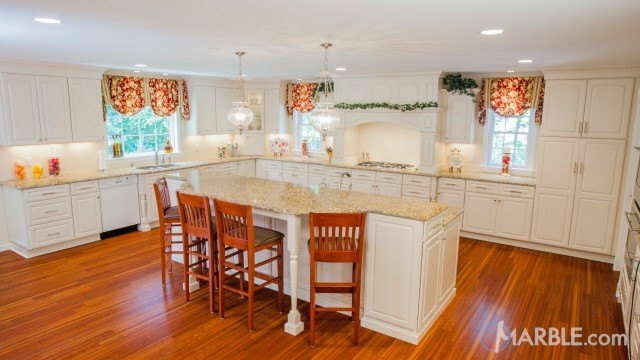 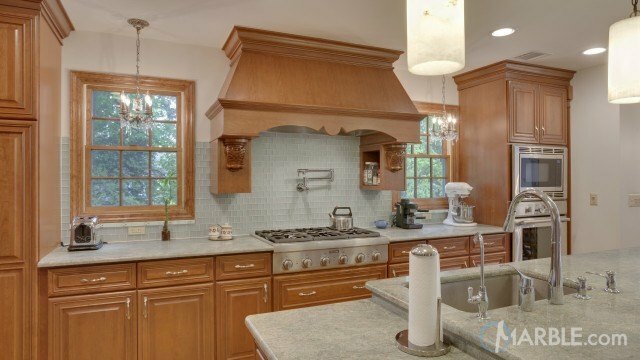 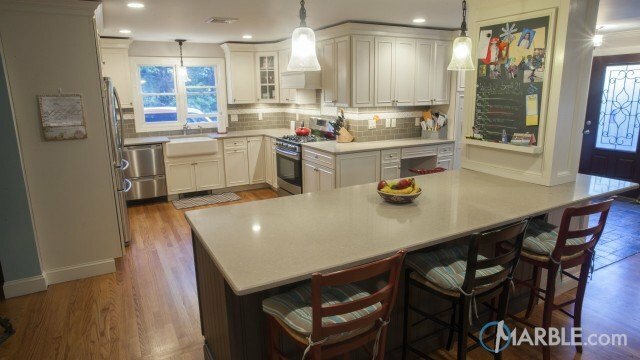 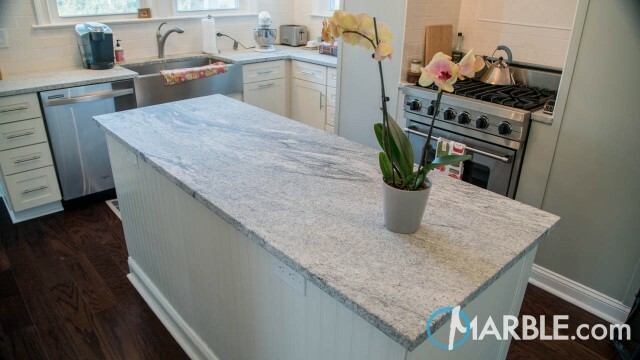 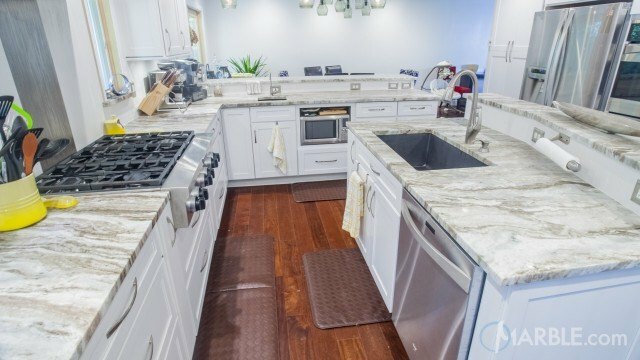 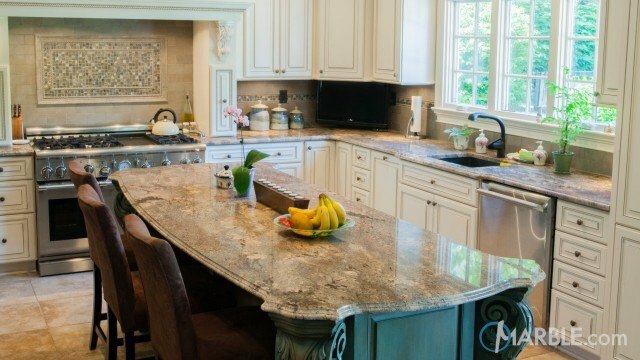 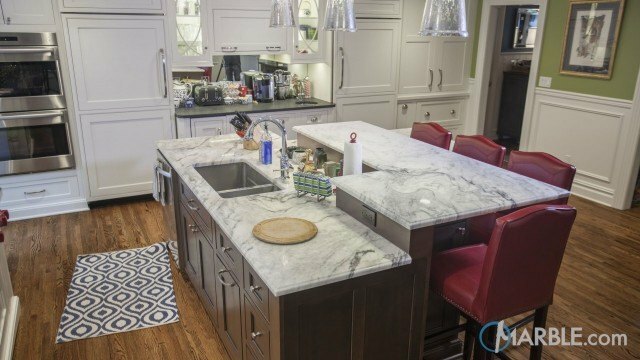 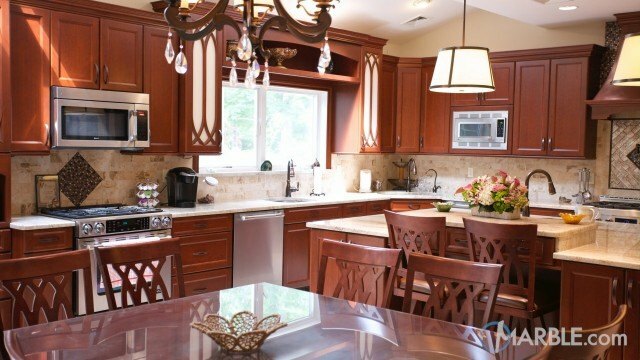 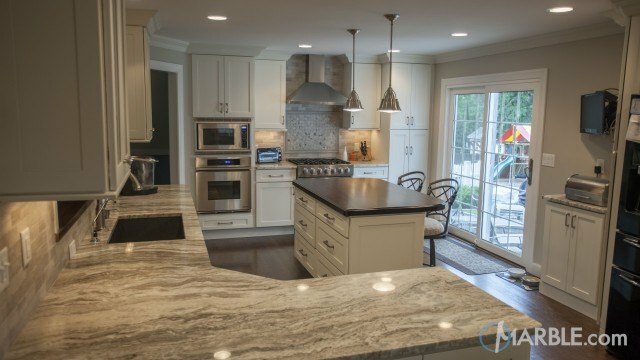 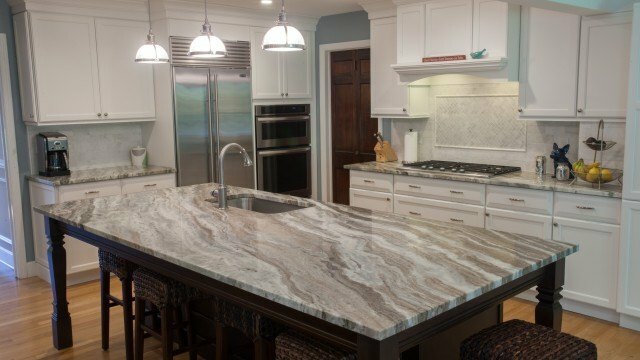 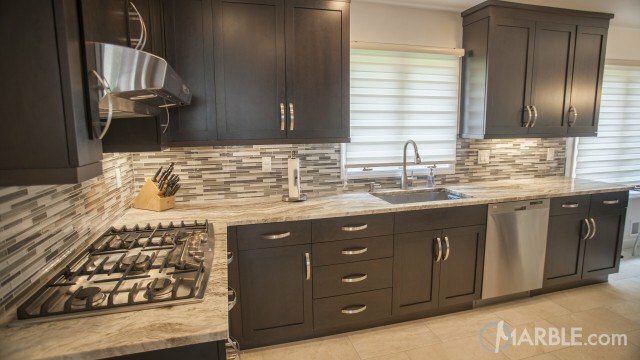 This large kitchen with dark wood cabinets makes a statement with Oro Brazil granite finished with an Ogee Edge. 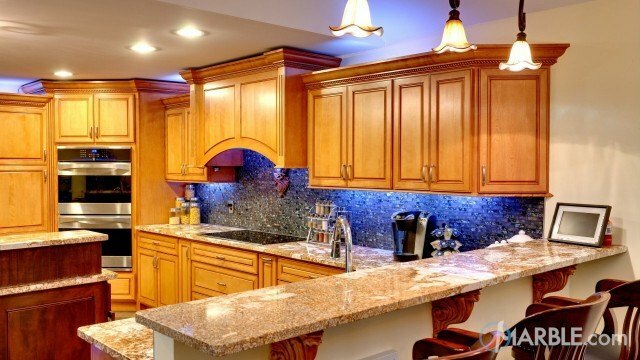 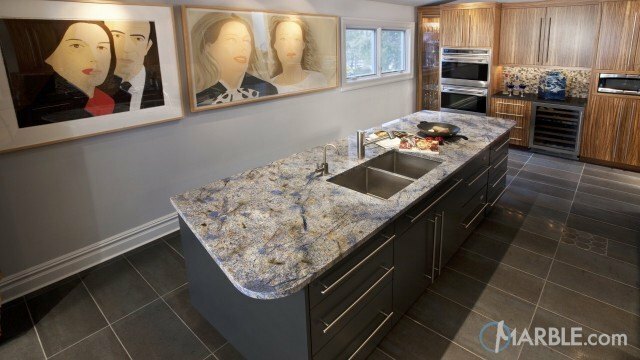 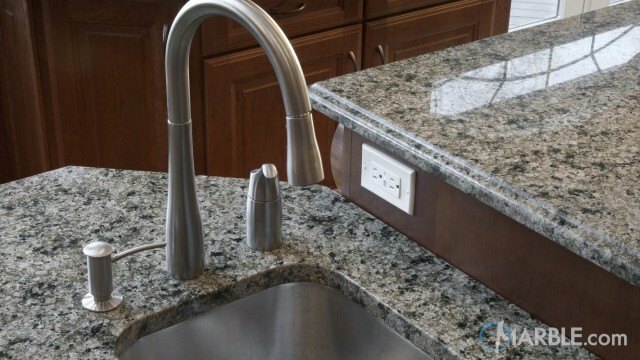 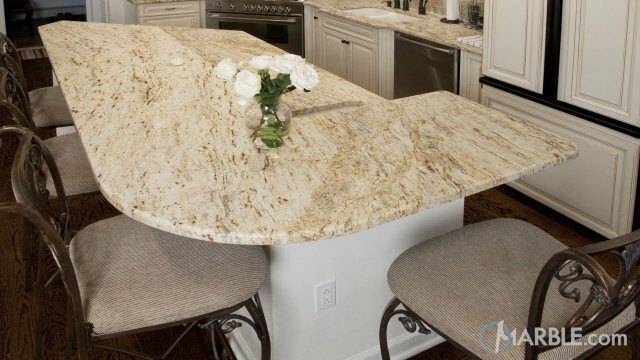 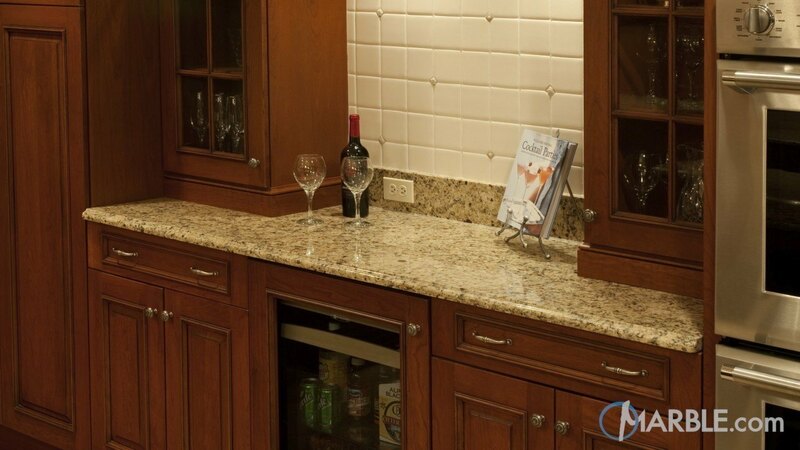 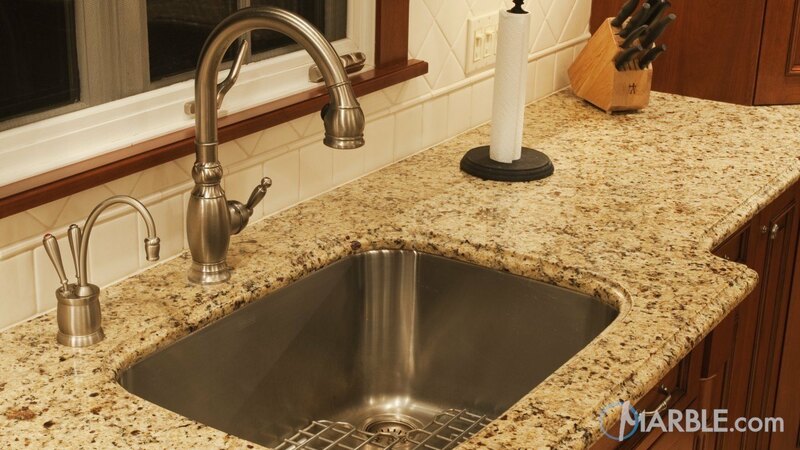 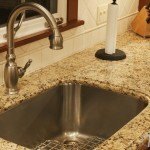 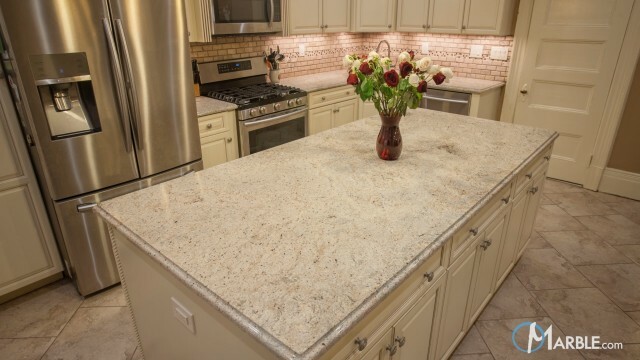 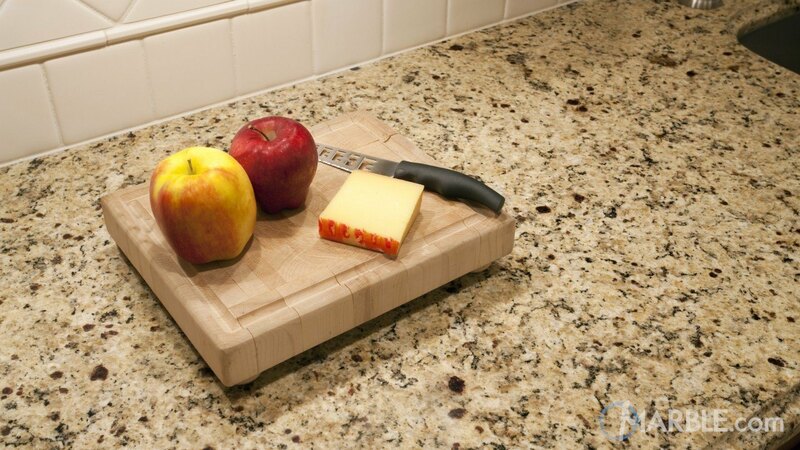 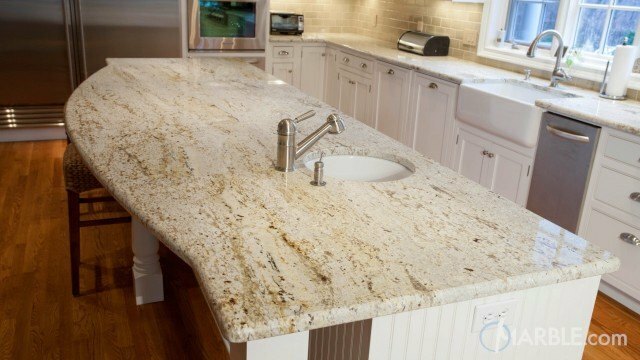 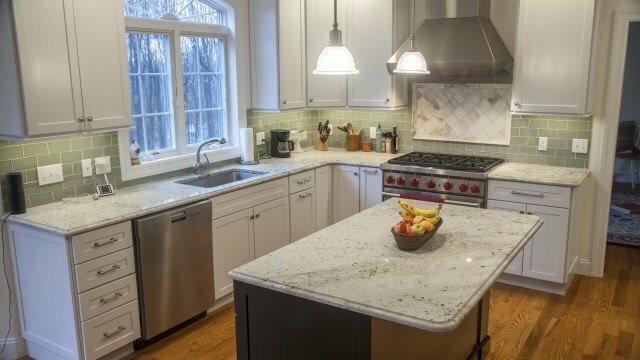 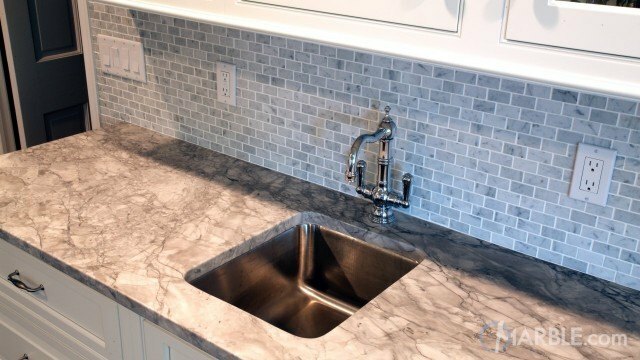 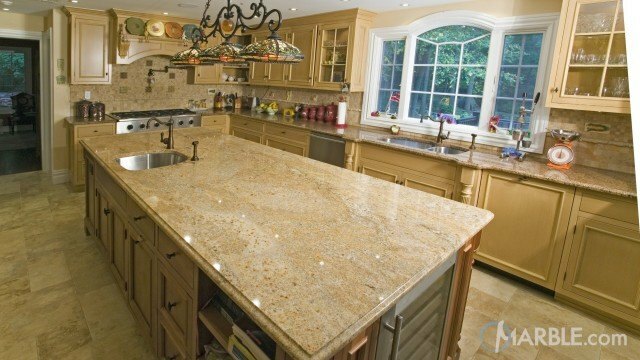 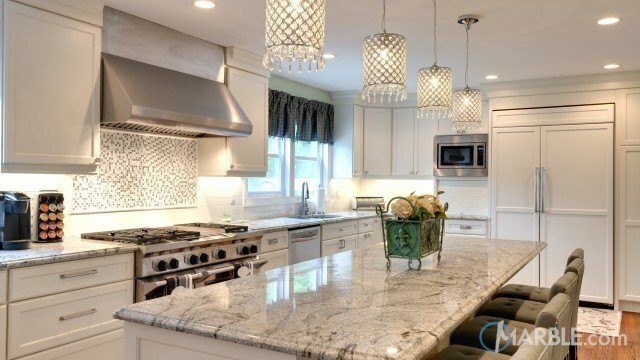 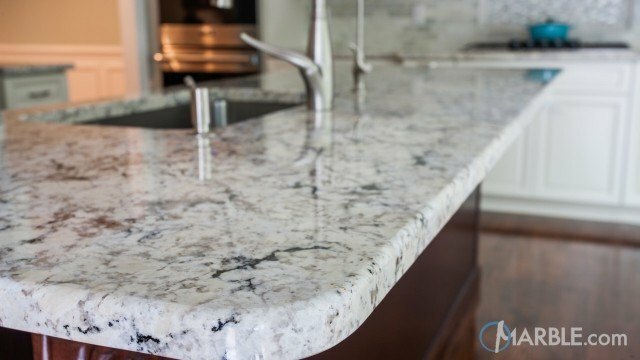 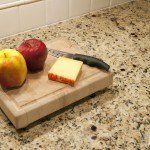 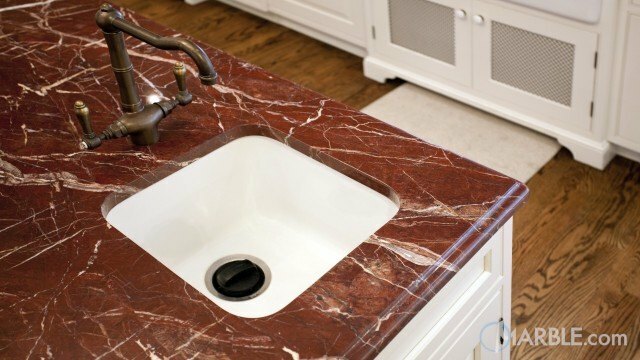 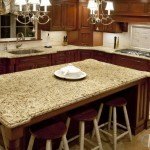 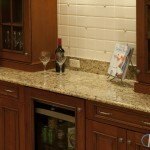 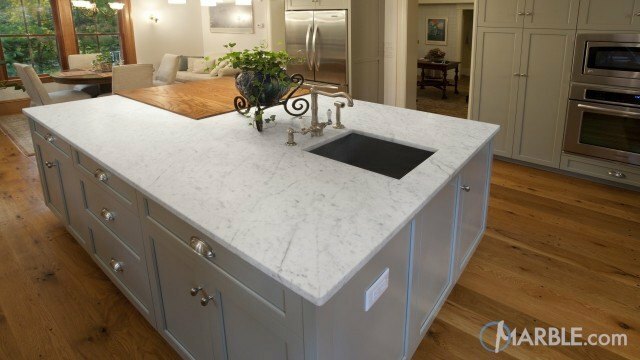 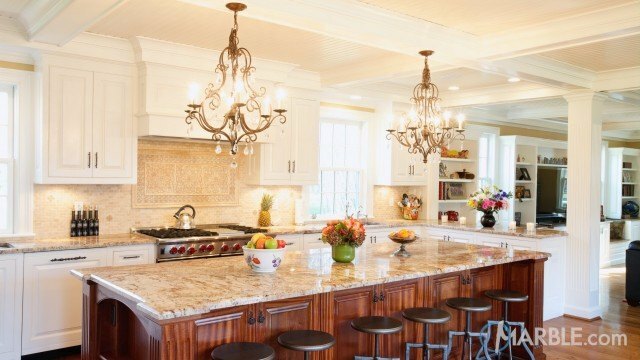 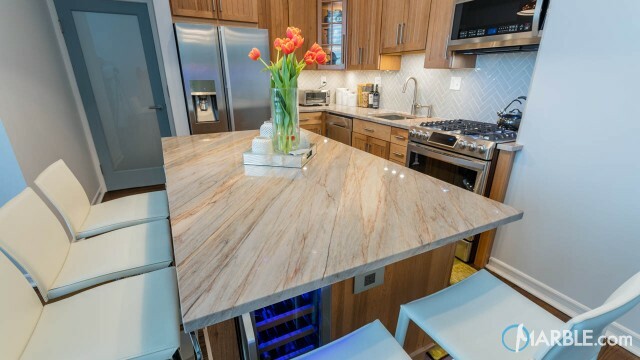 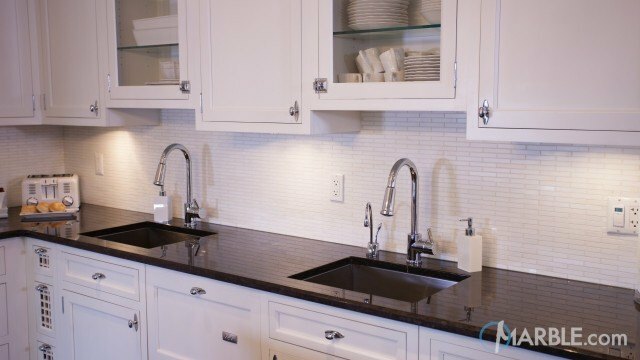 Soft under-cabinet lighting illuminates the stone, allowing its natural beauty to shine through. 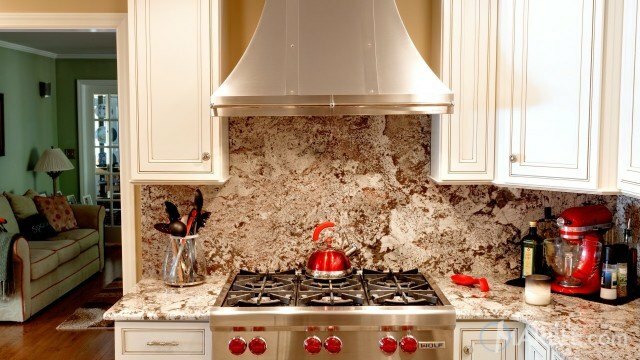 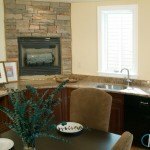 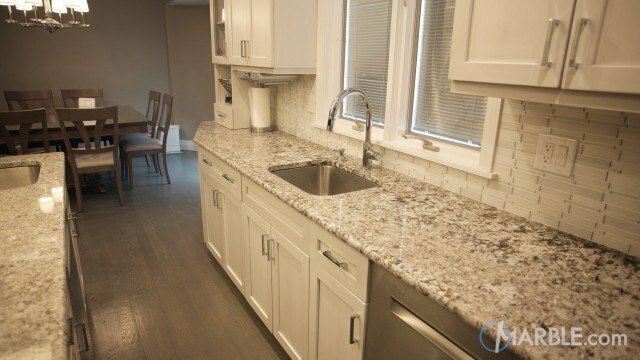 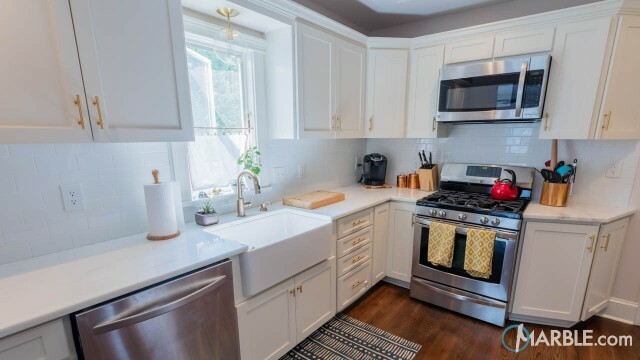 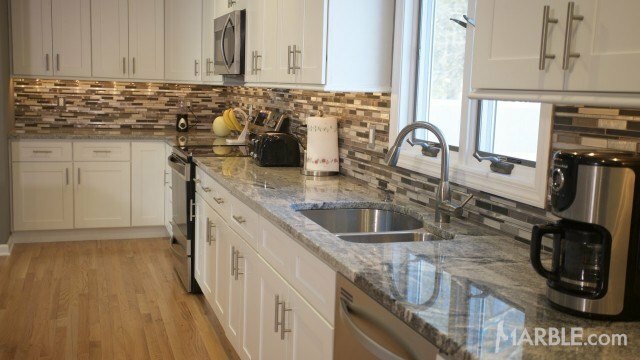 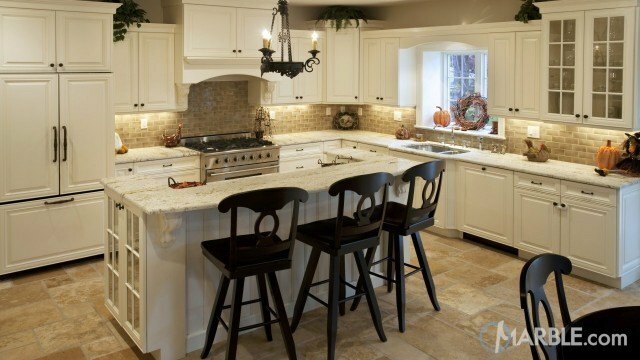 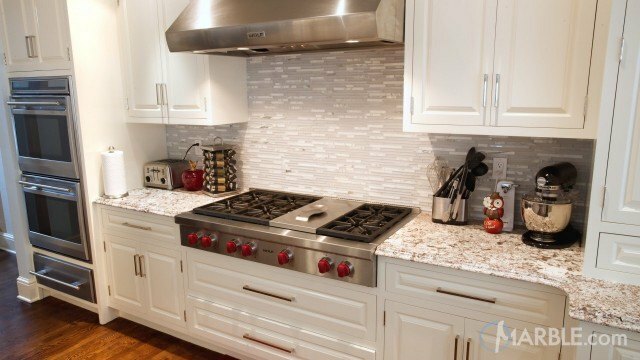 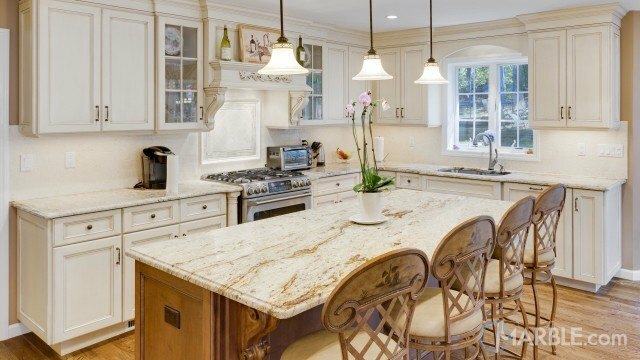 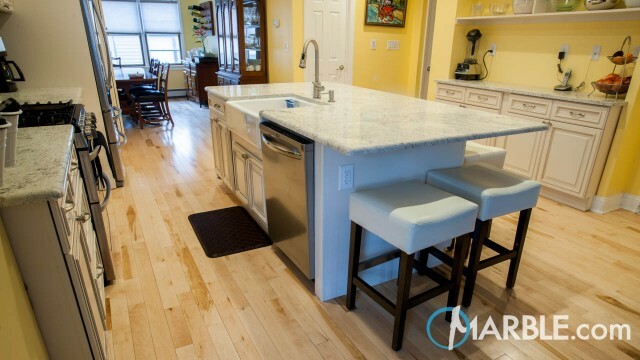 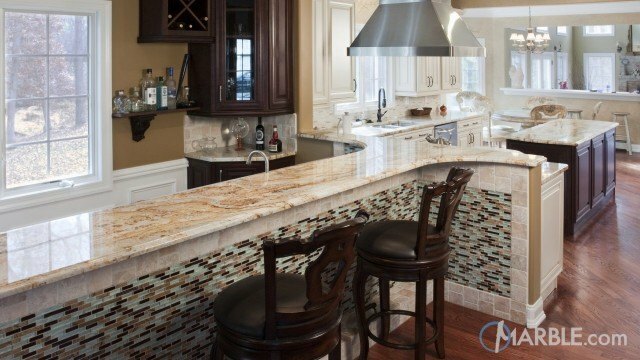 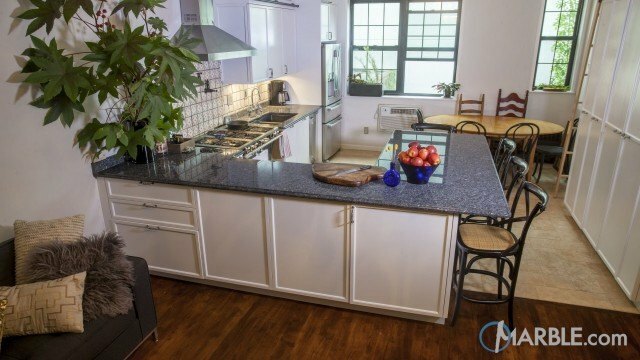 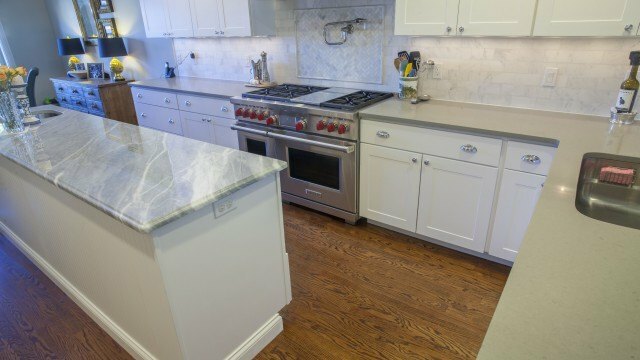 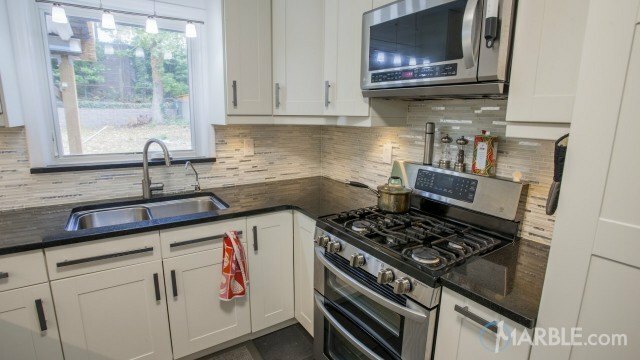 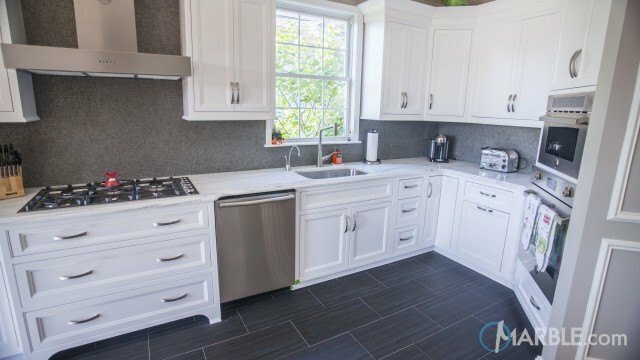 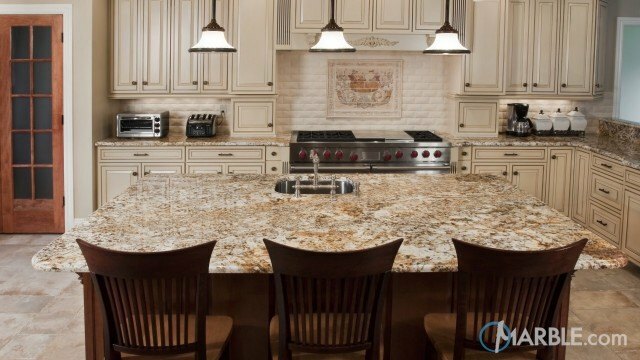 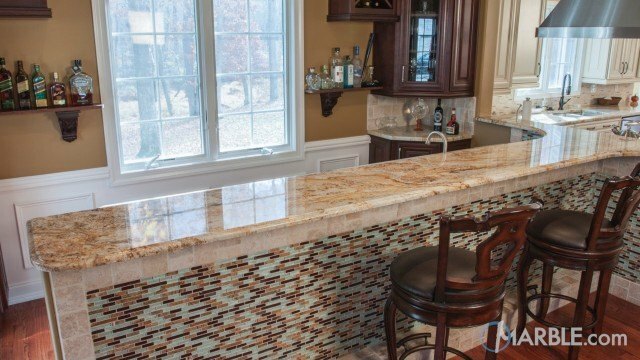 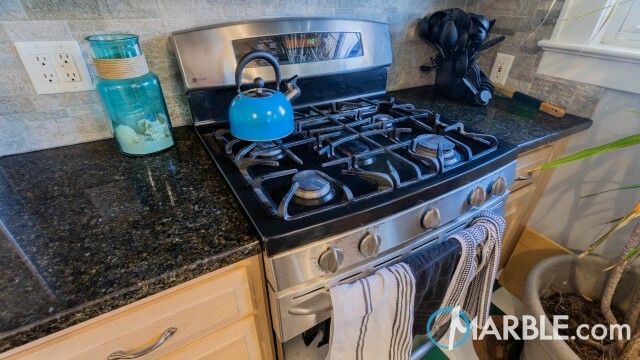 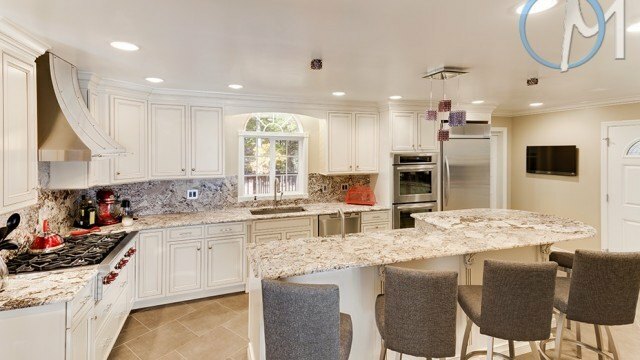 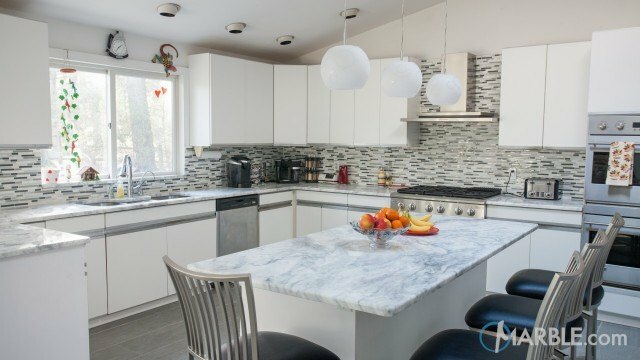 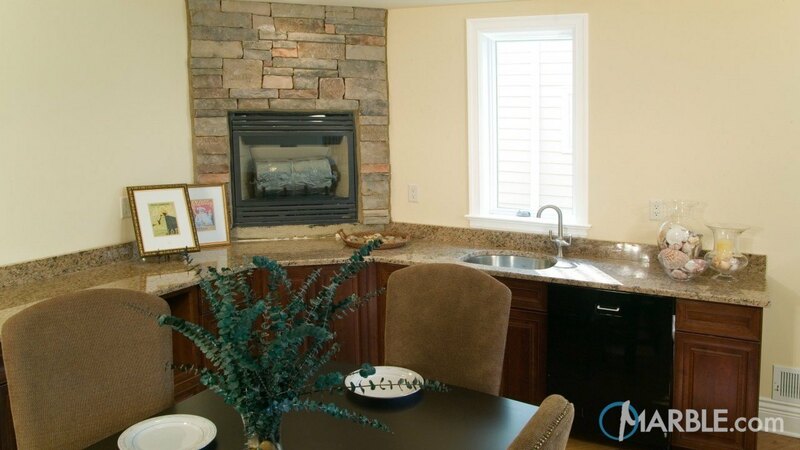 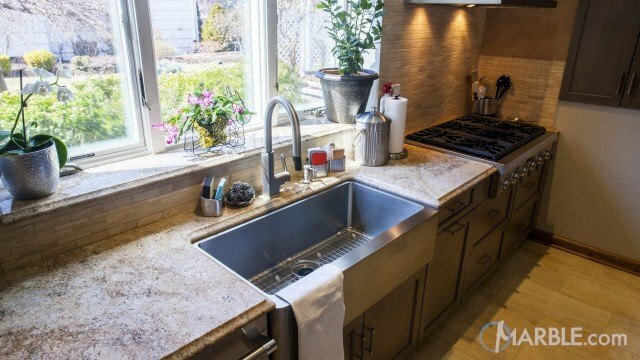 Brown and beige speckles pop in contrast to the dark wood, light tile and white back splash. 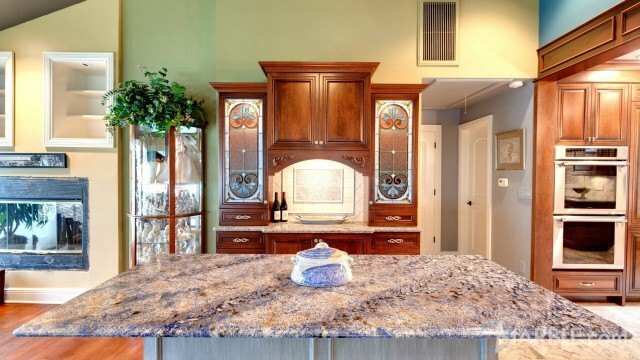 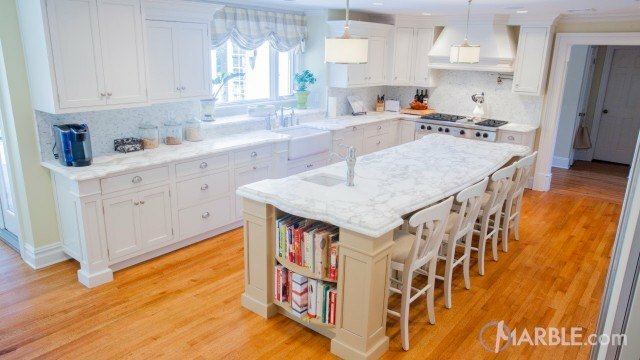 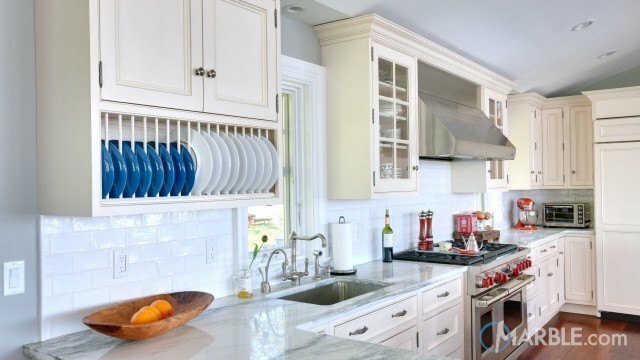 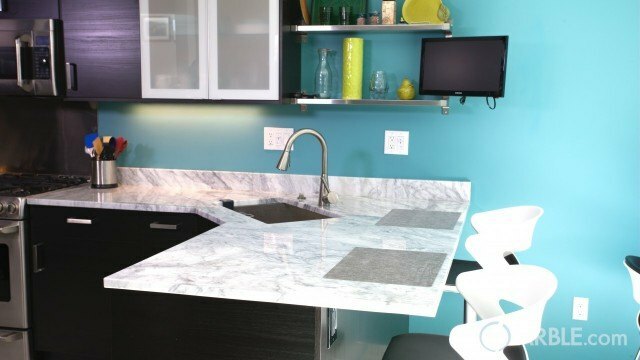 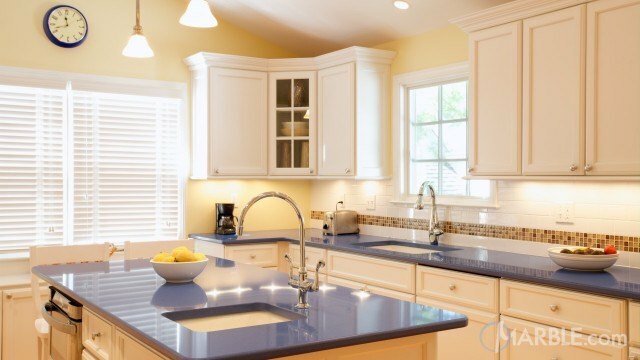 The colors all form a perfect harmony to create an elegant kitchen.